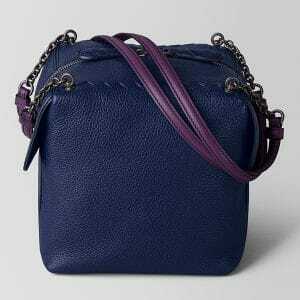 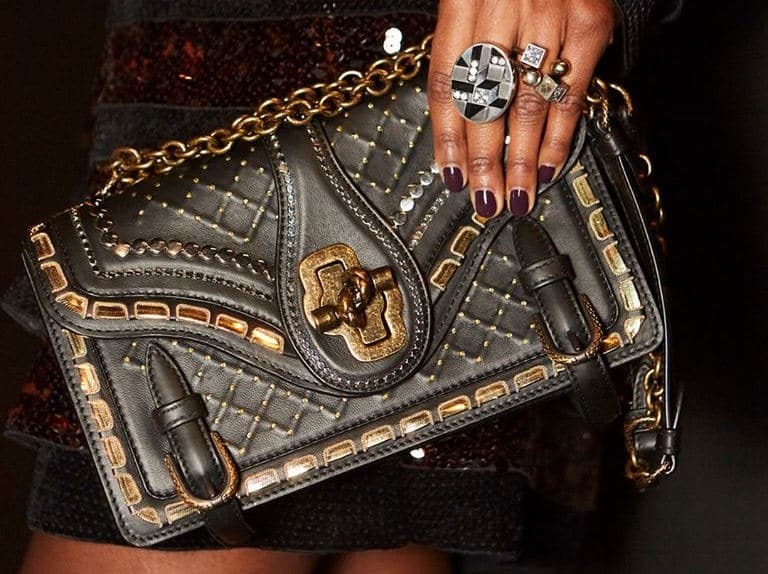 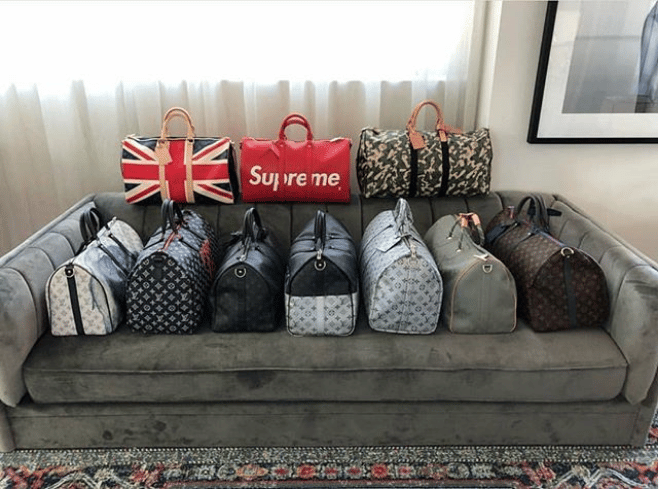 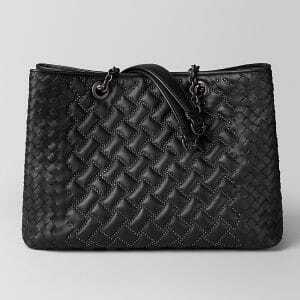 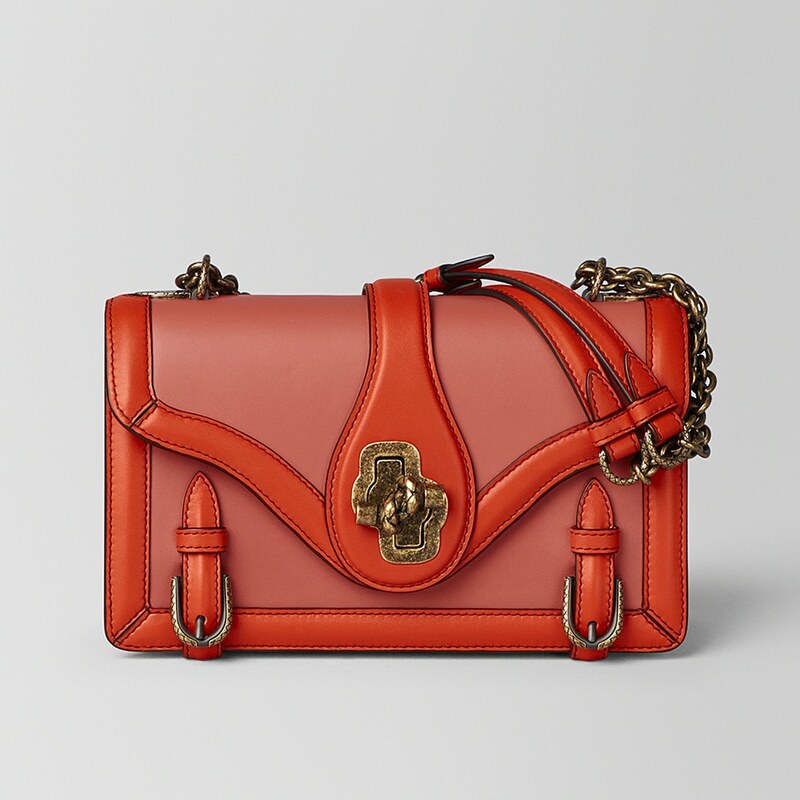 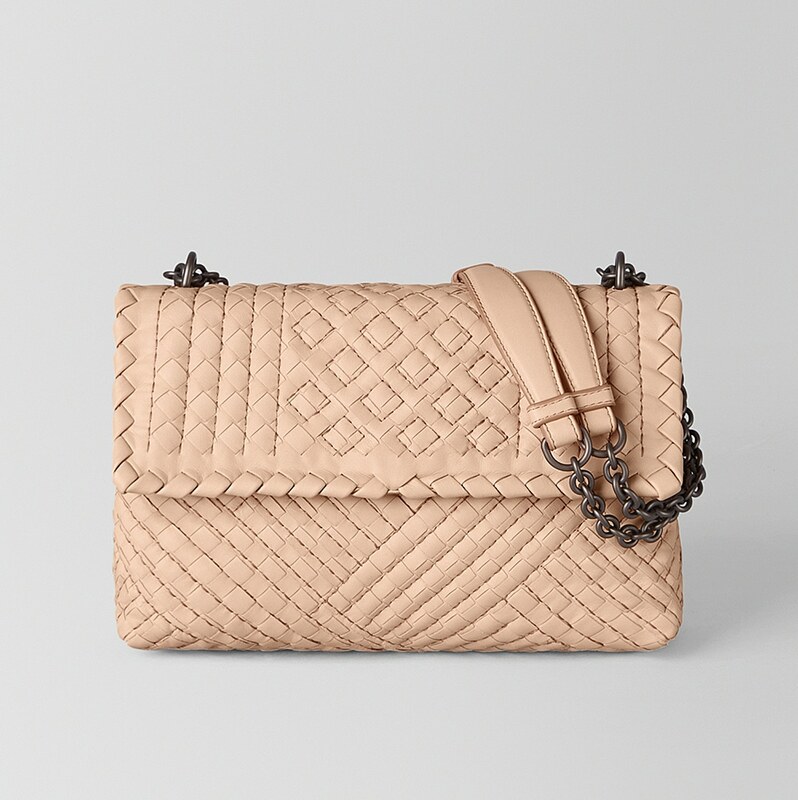 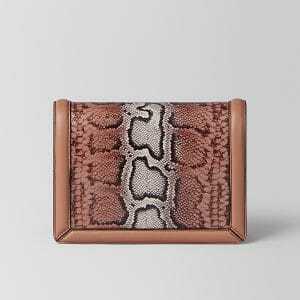 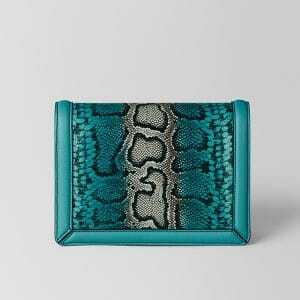 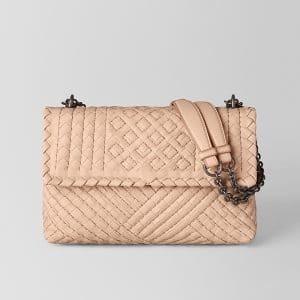 Presenting the Bottega Veneta Pre-Fall 2018 Bag Collection. 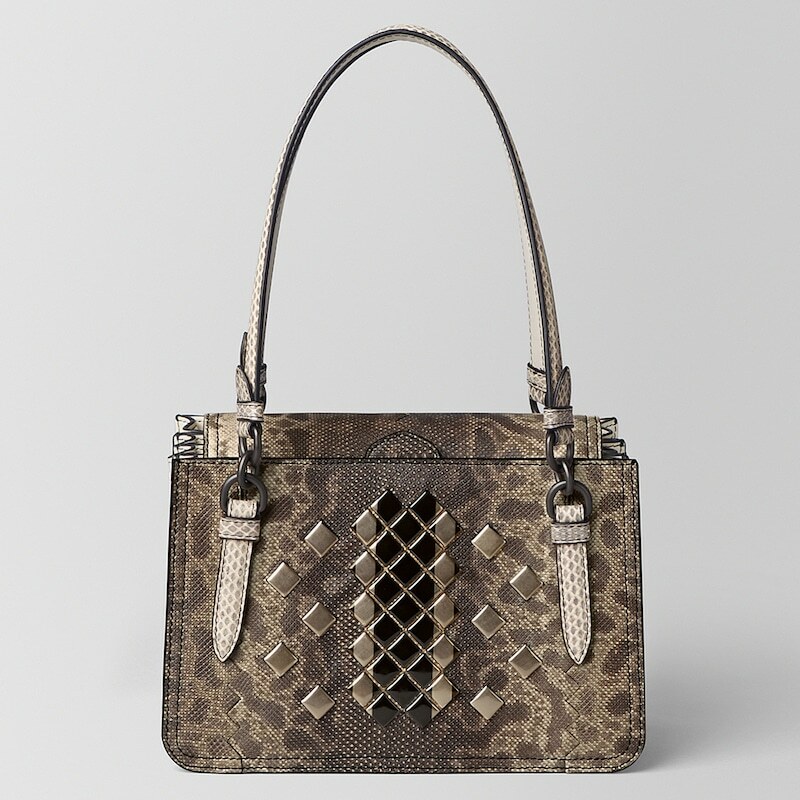 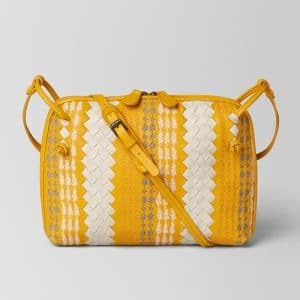 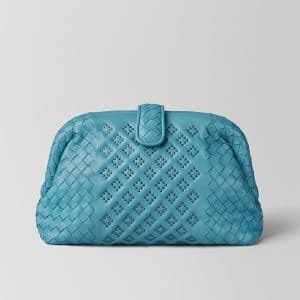 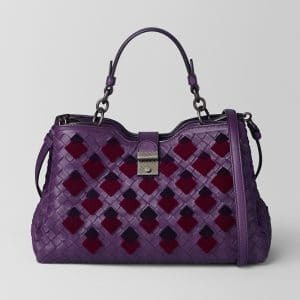 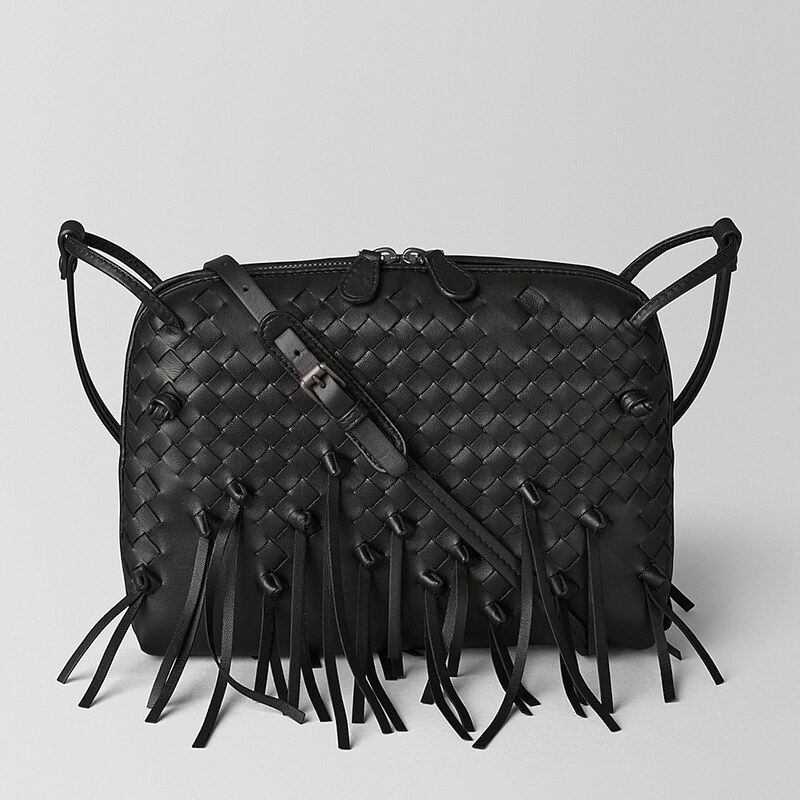 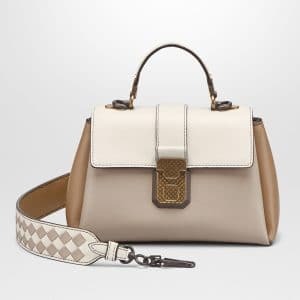 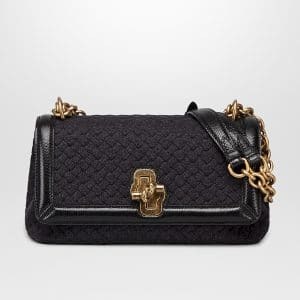 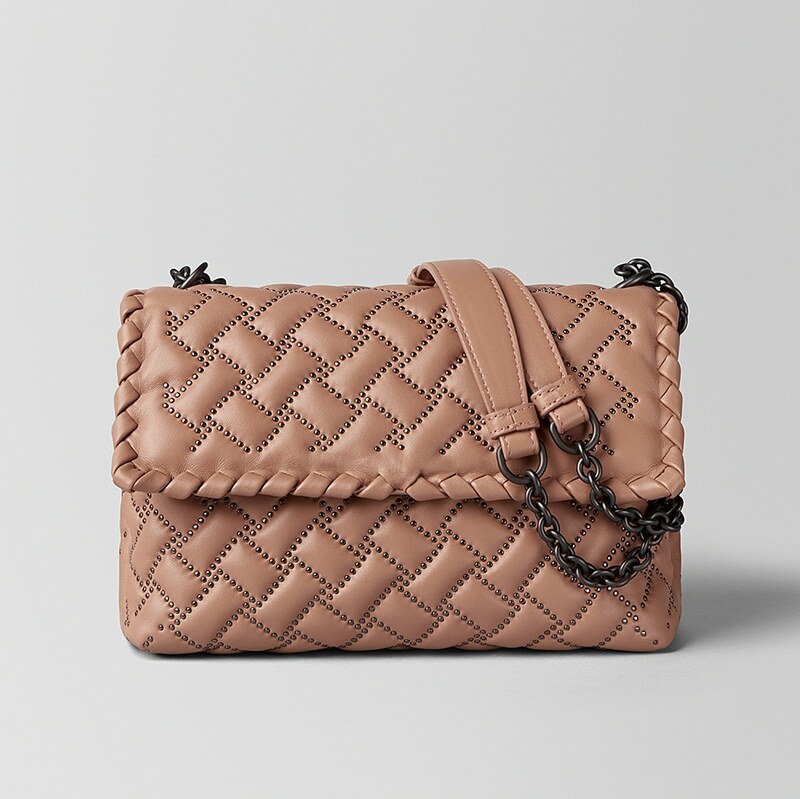 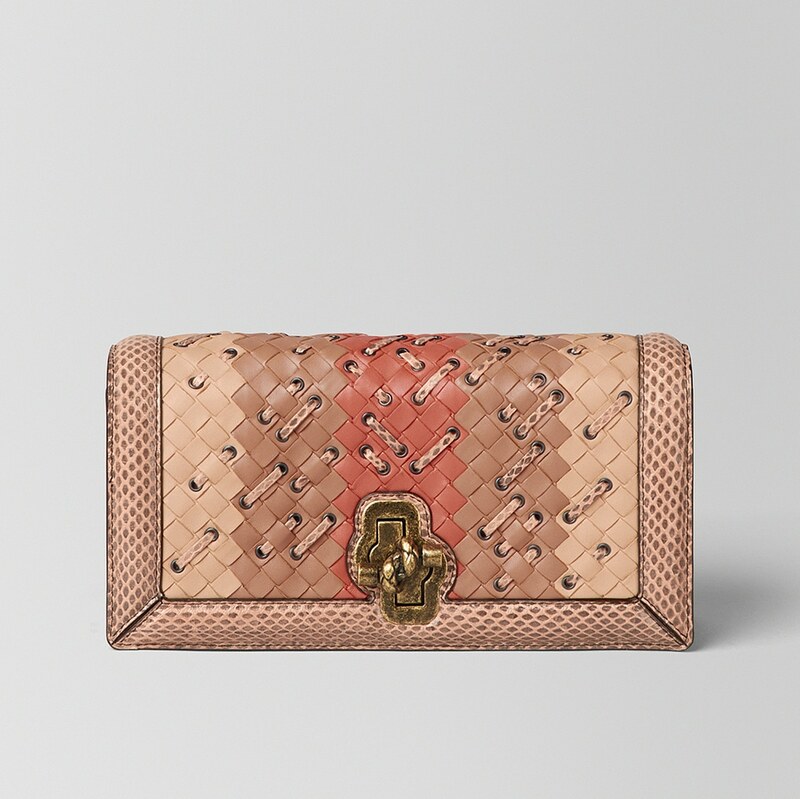 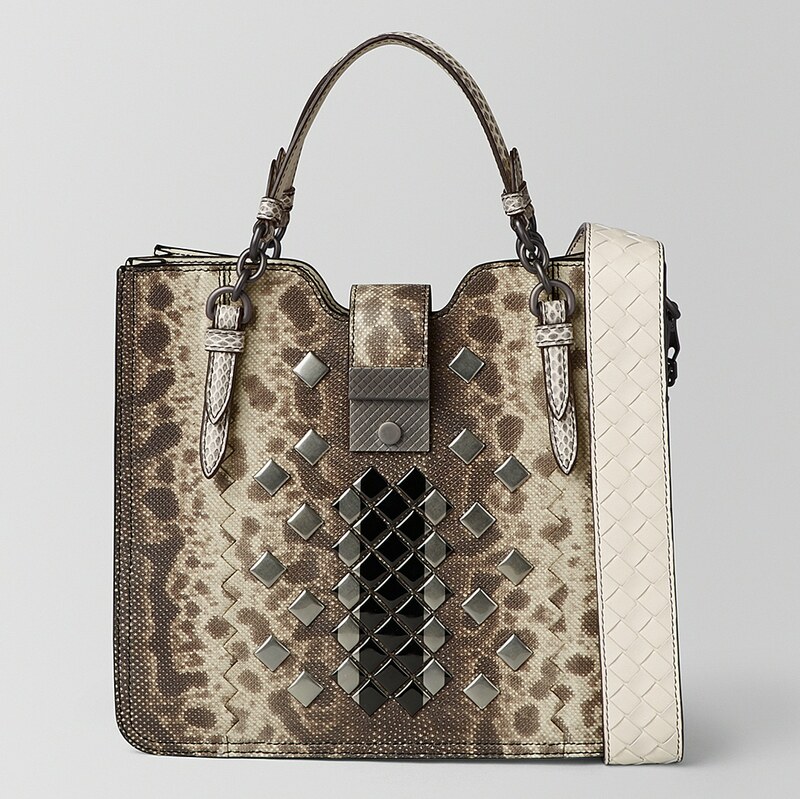 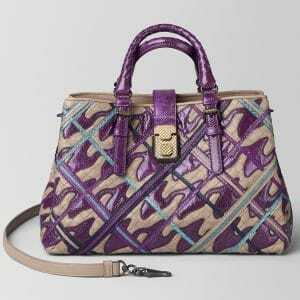 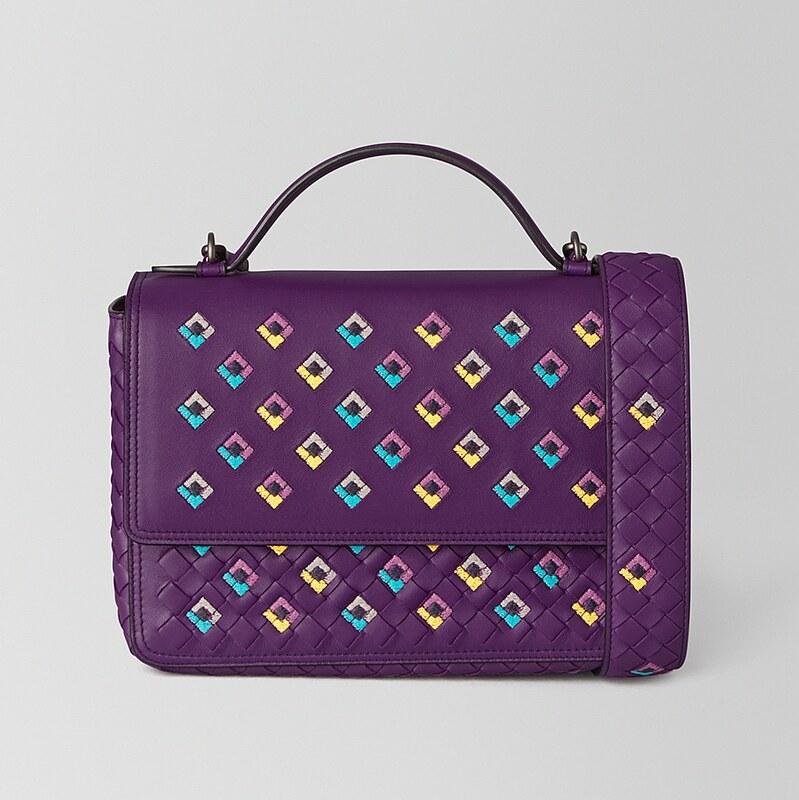 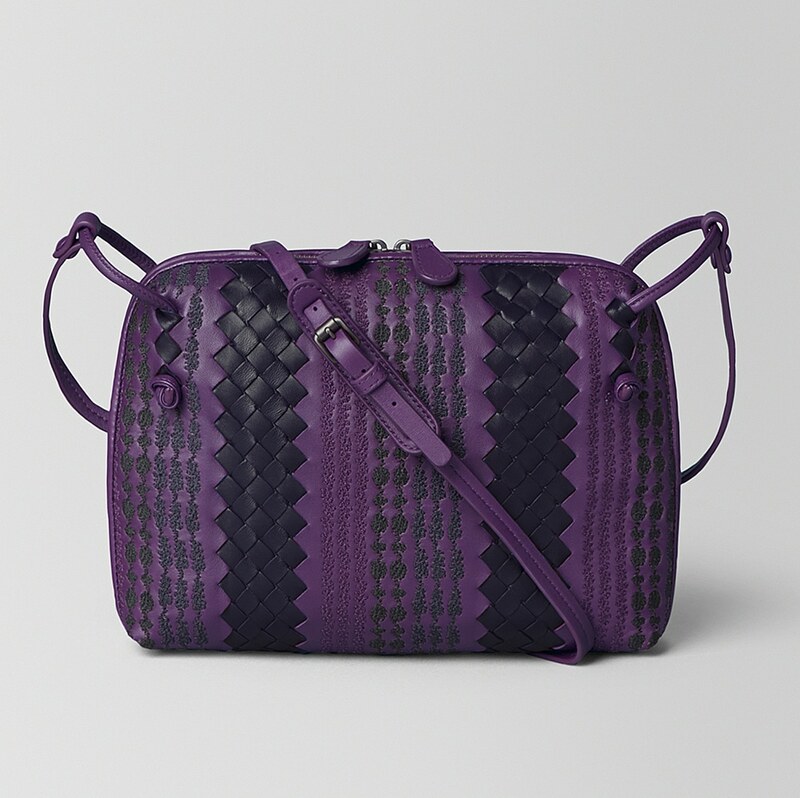 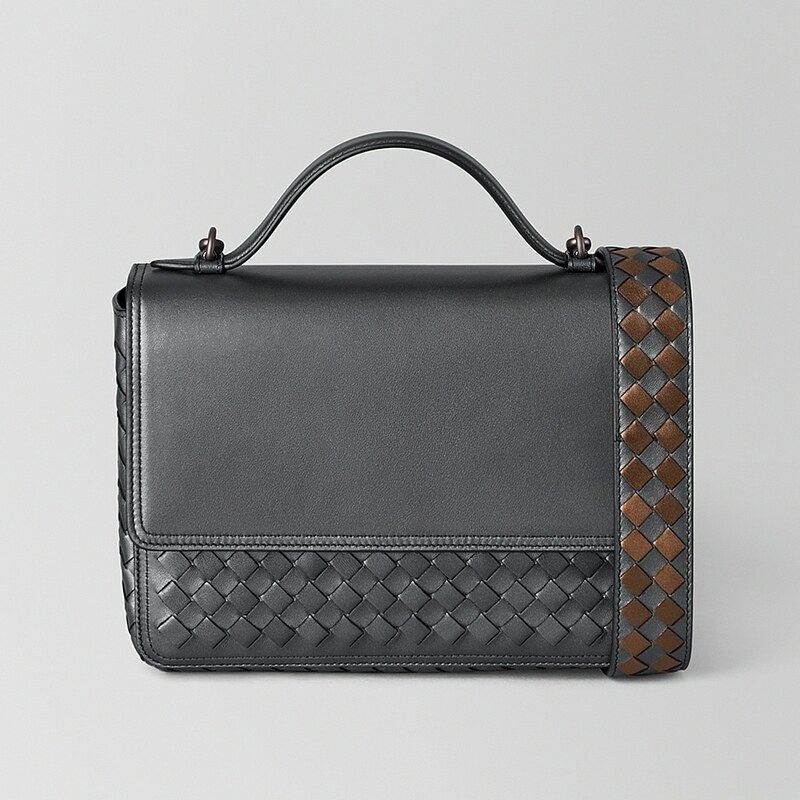 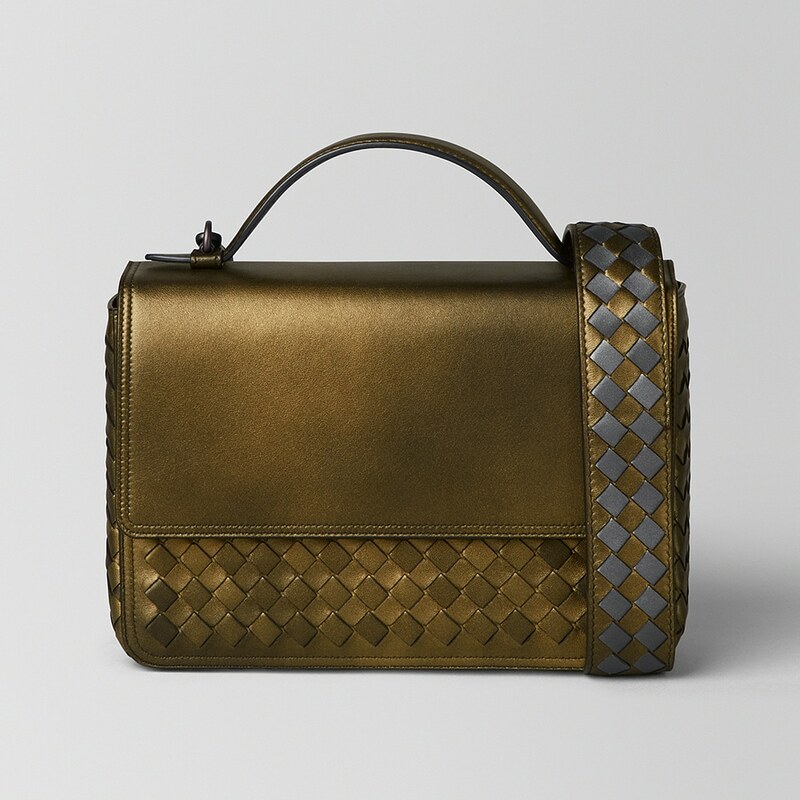 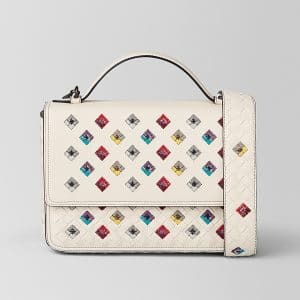 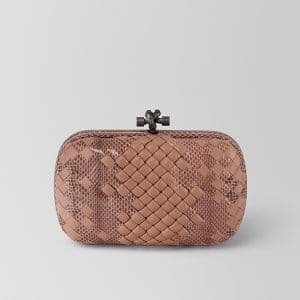 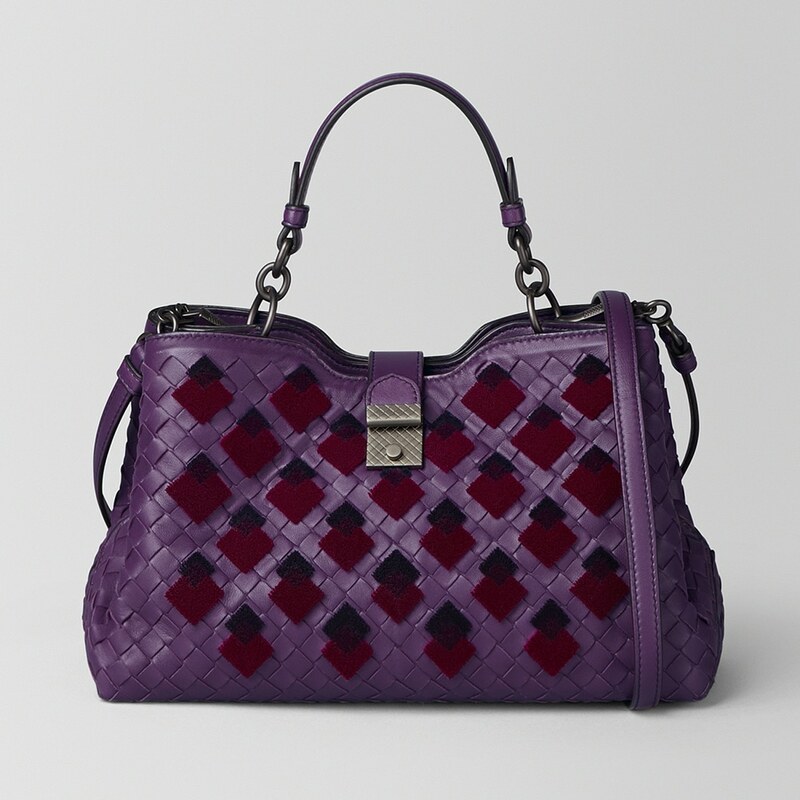 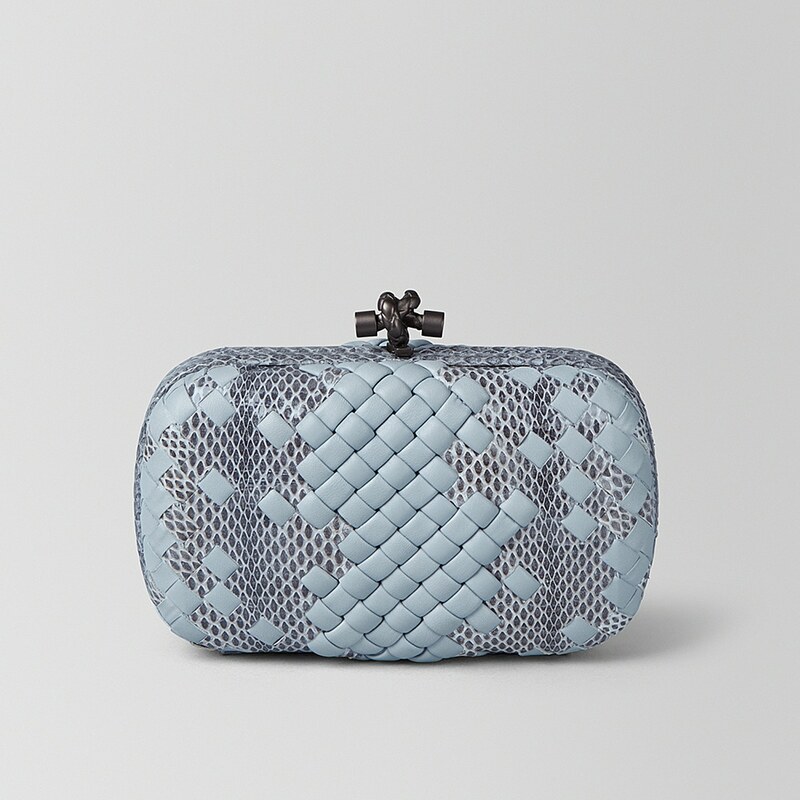 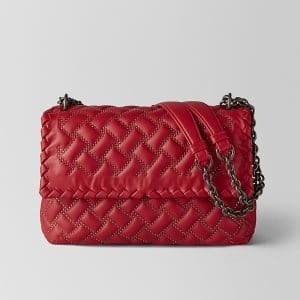 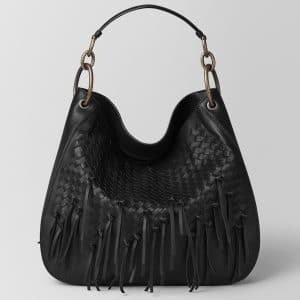 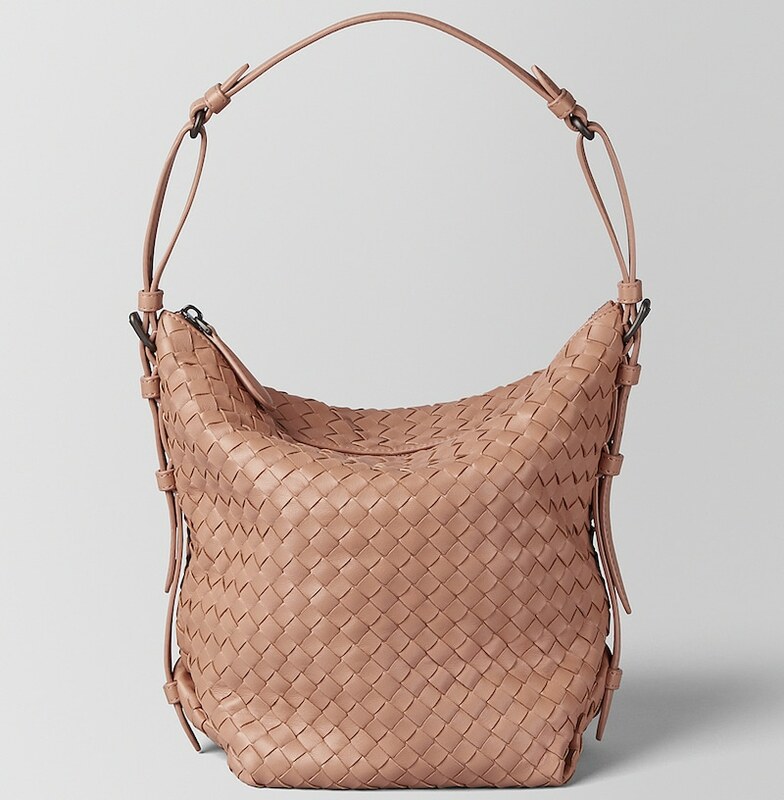 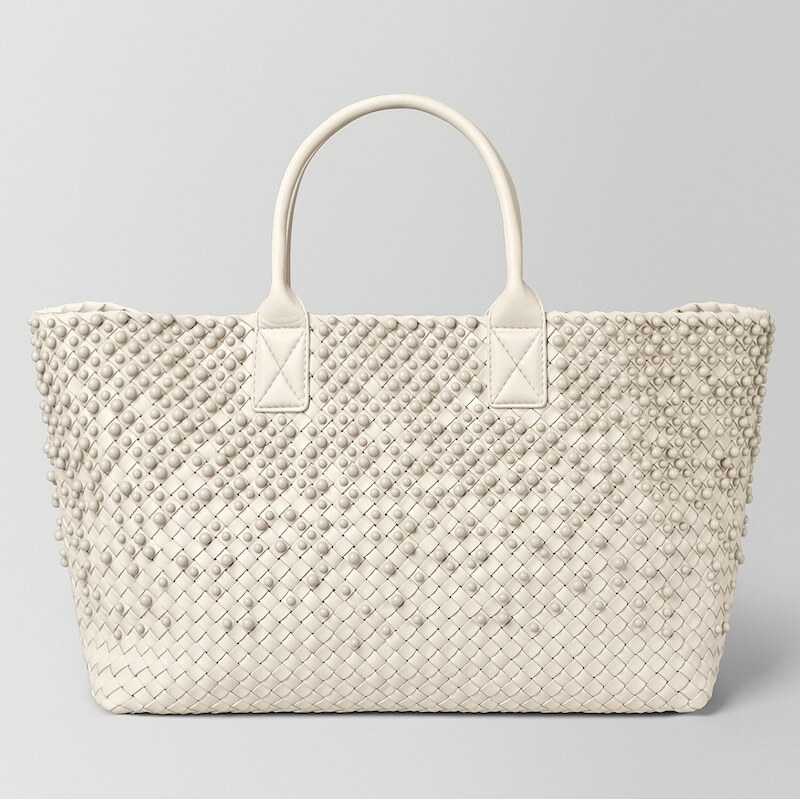 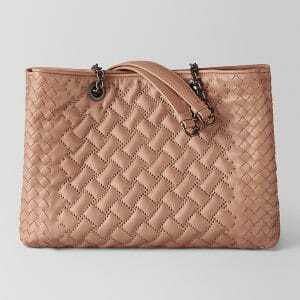 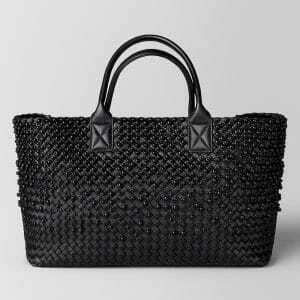 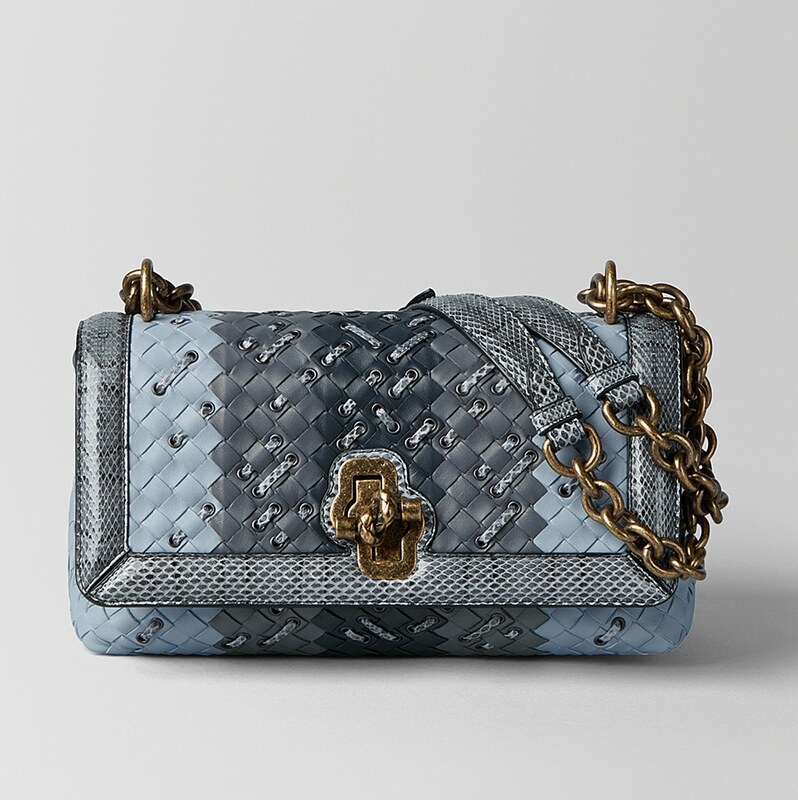 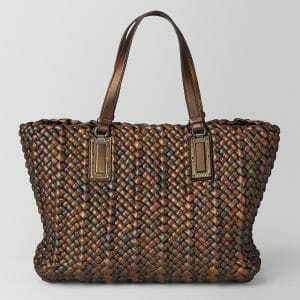 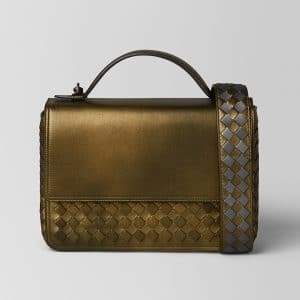 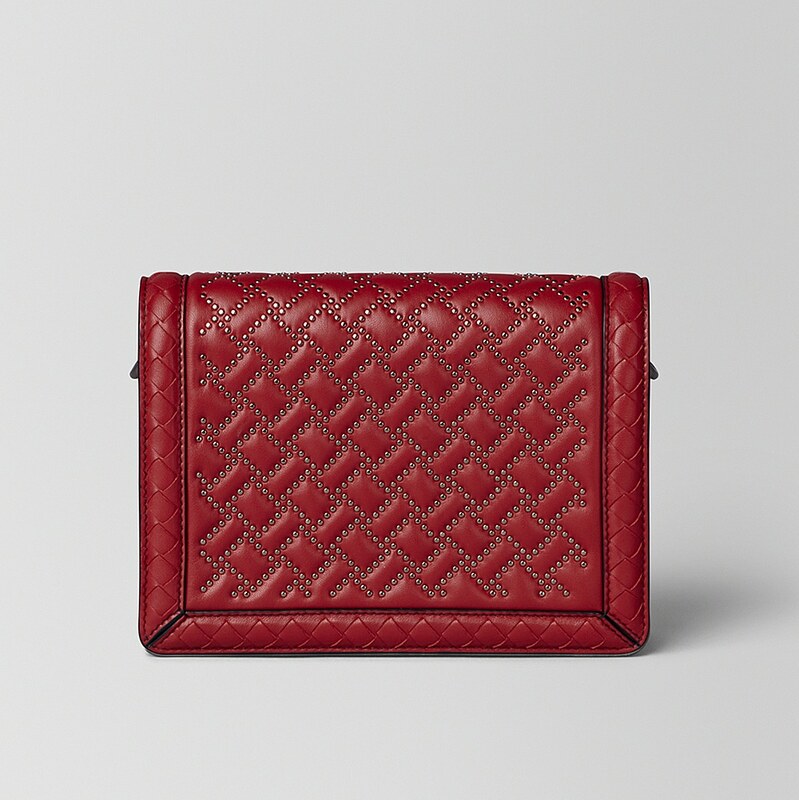 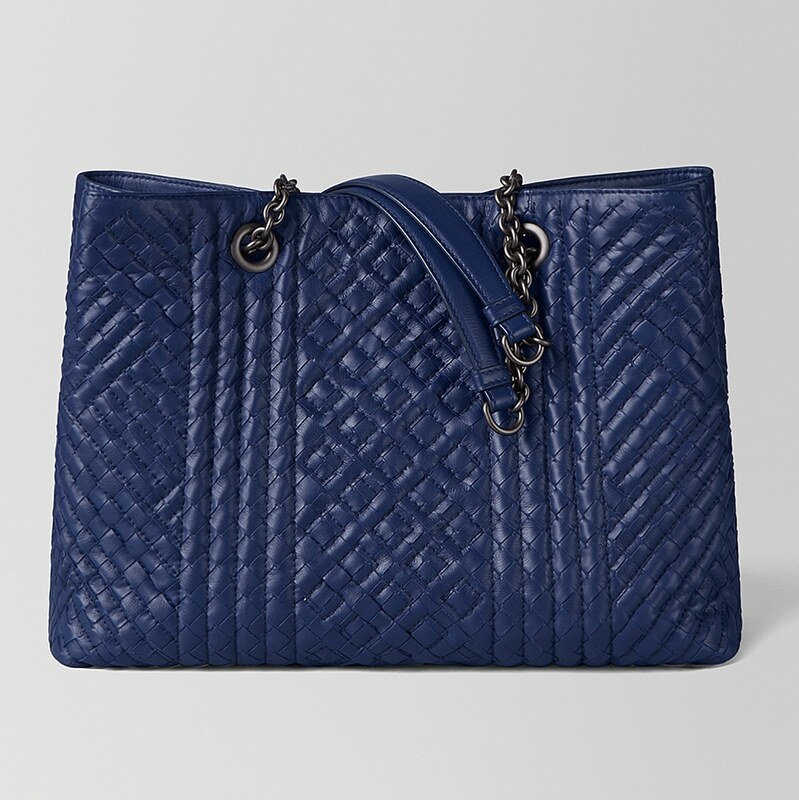 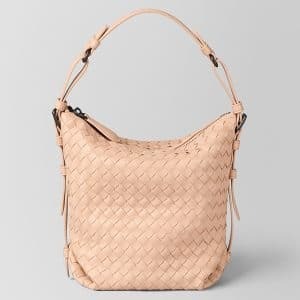 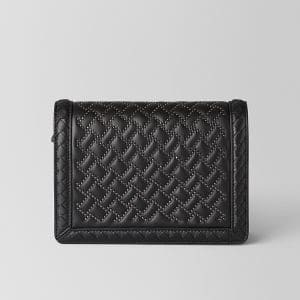 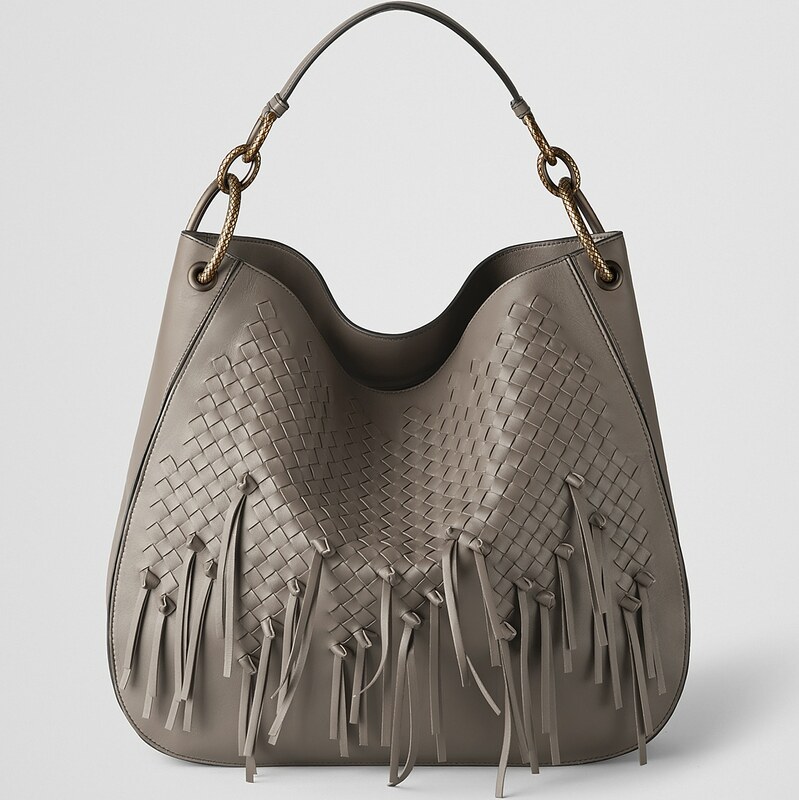 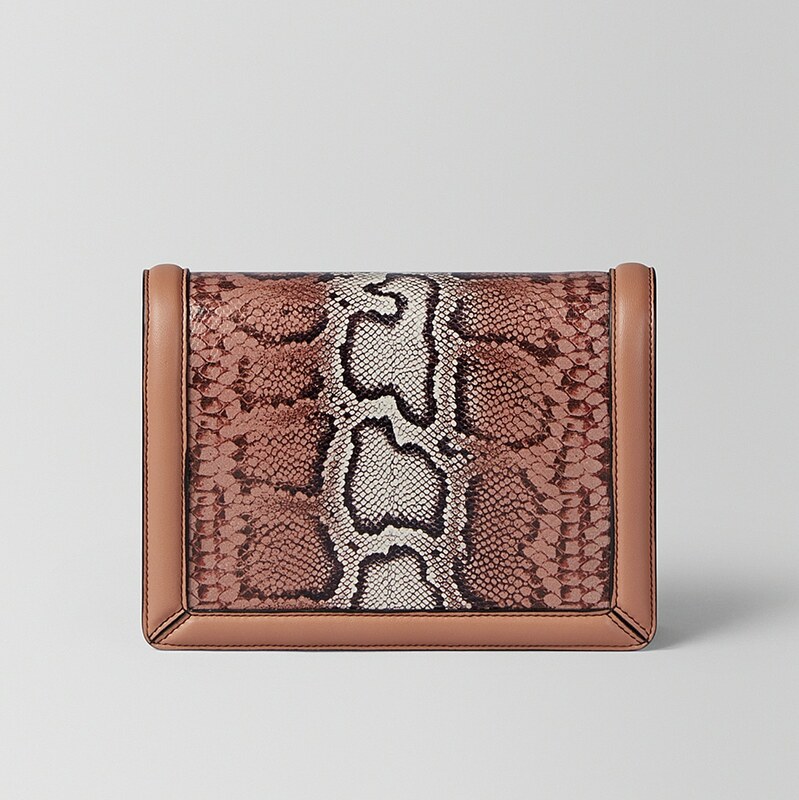 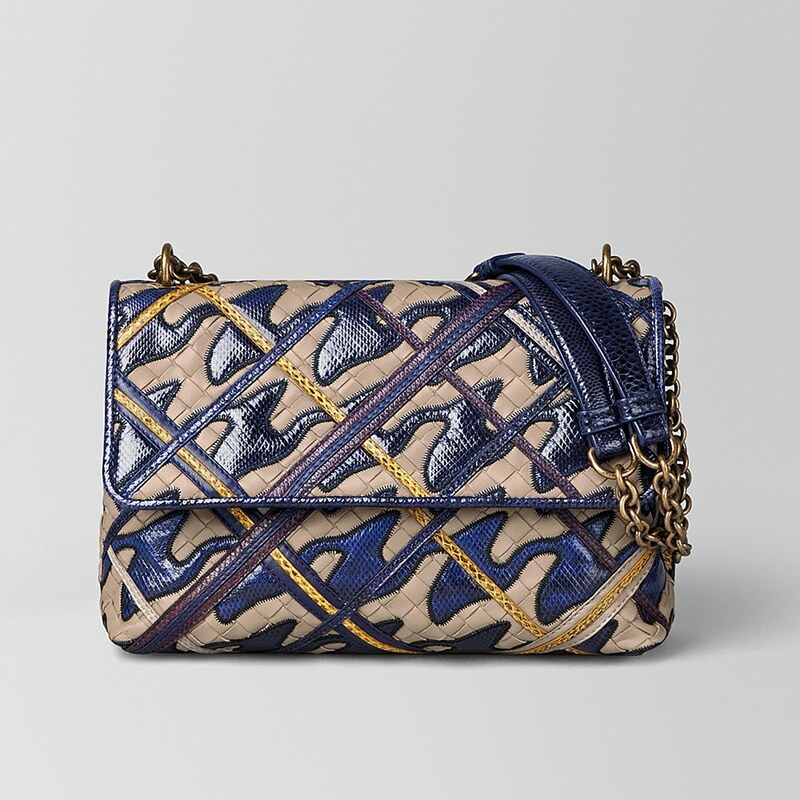 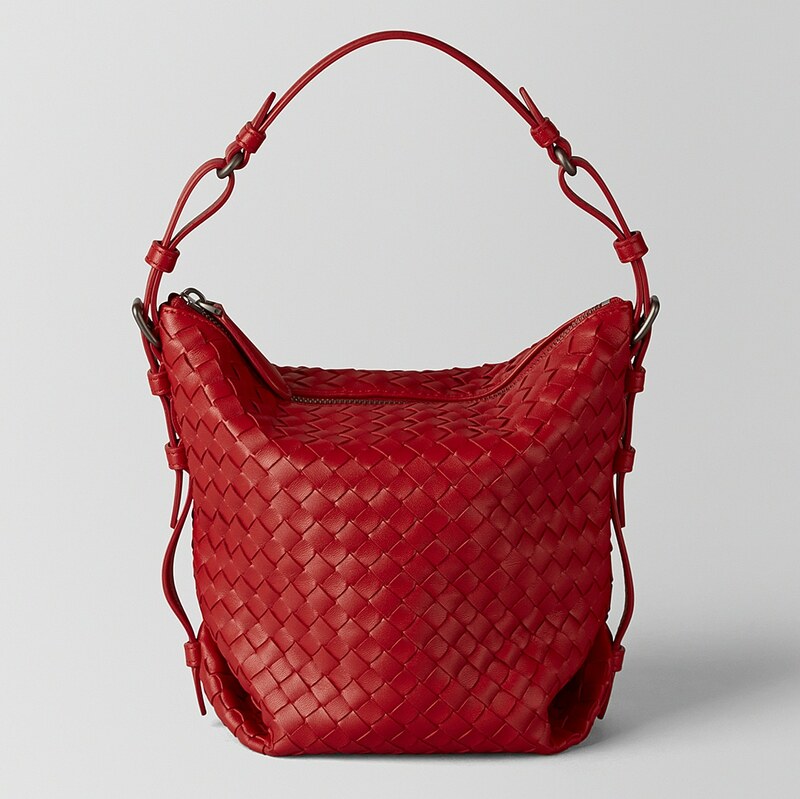 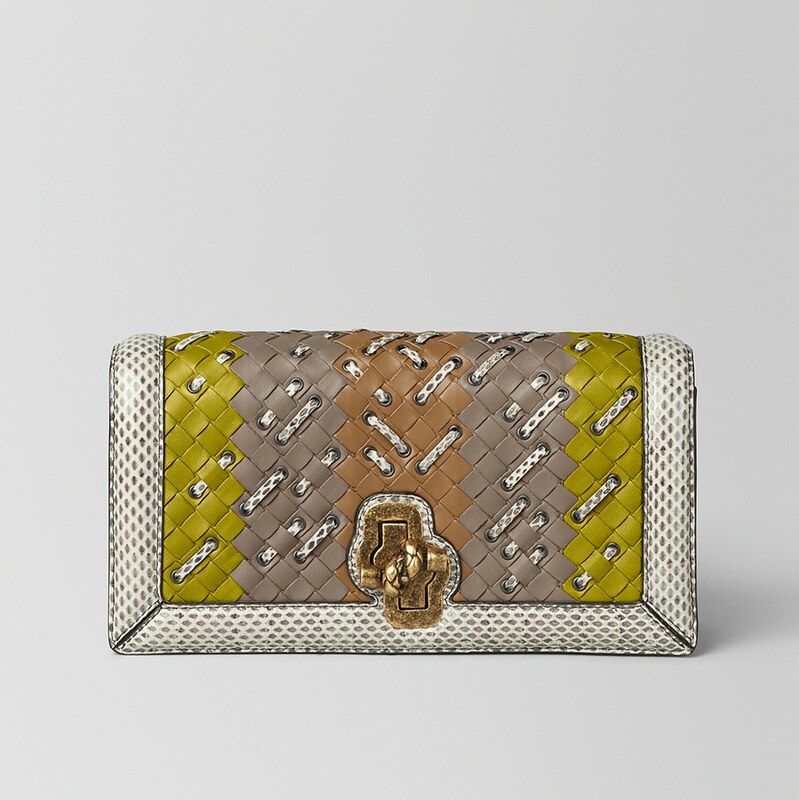 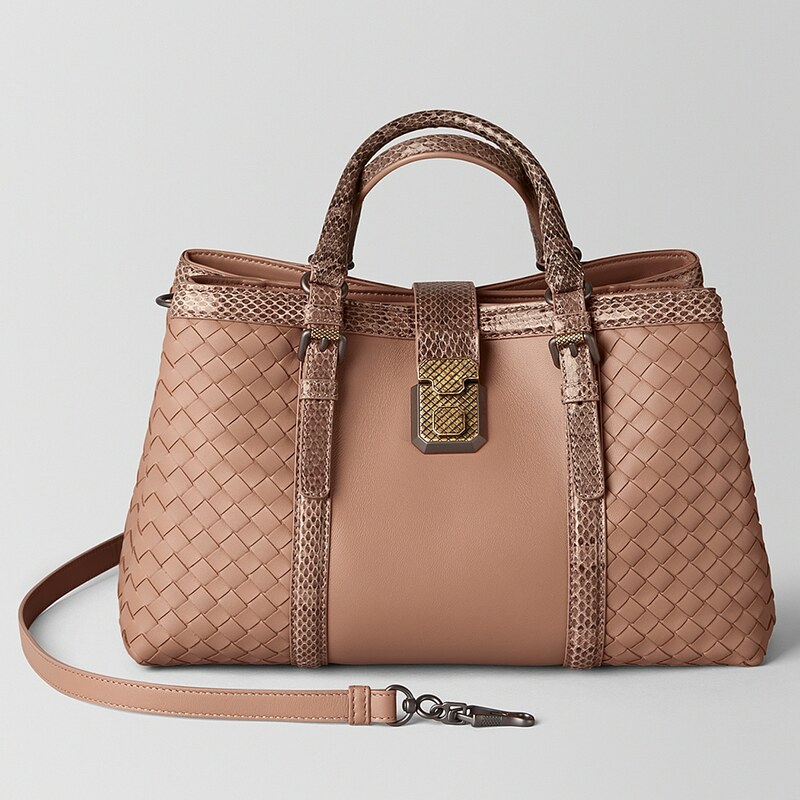 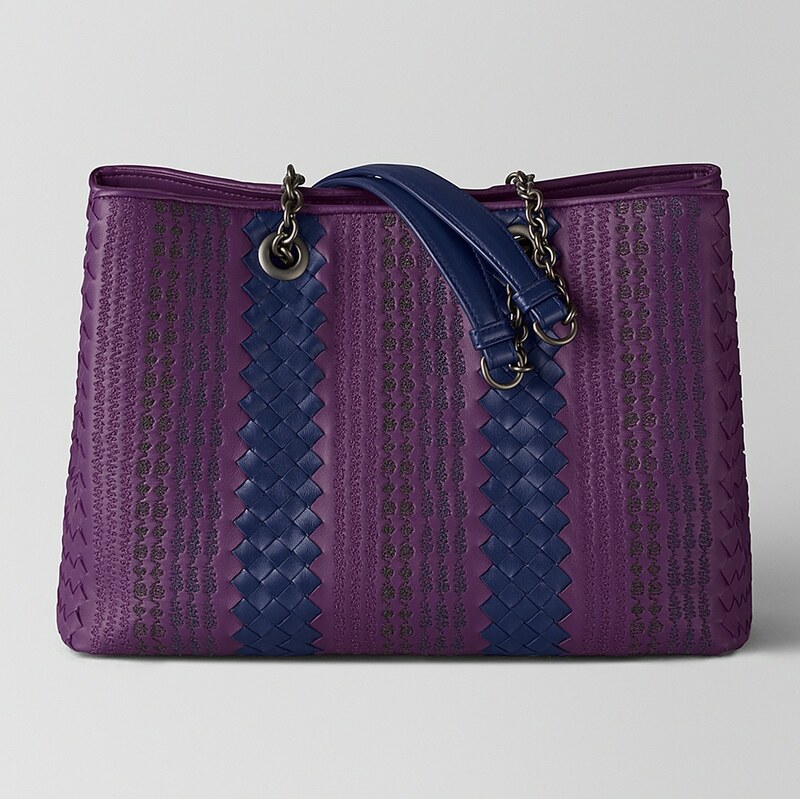 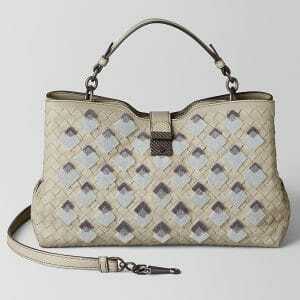 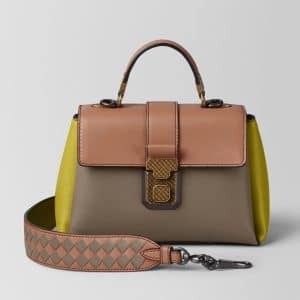 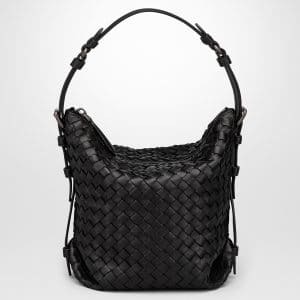 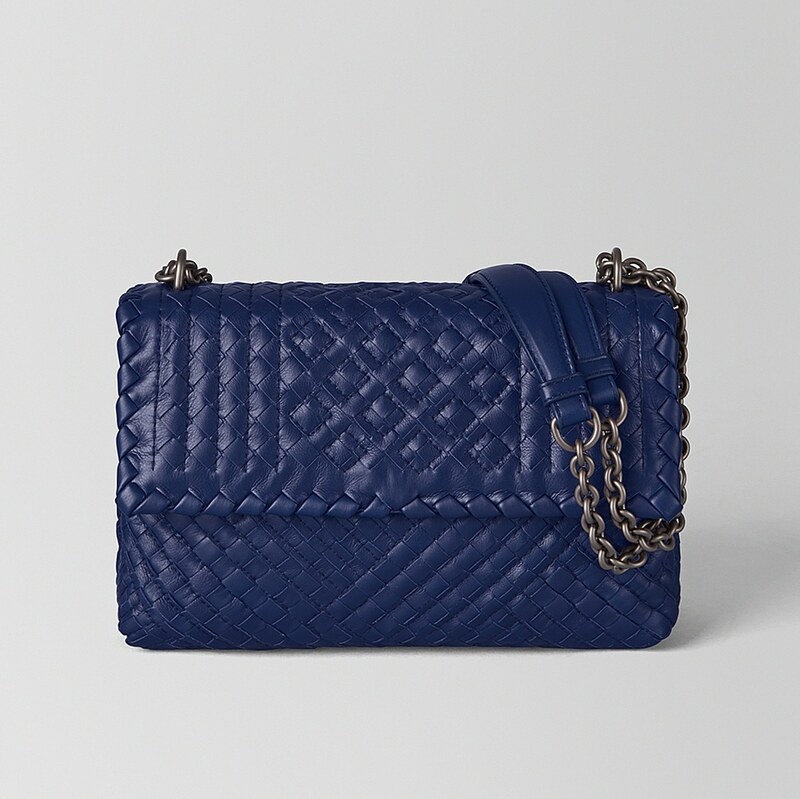 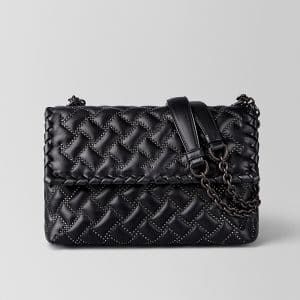 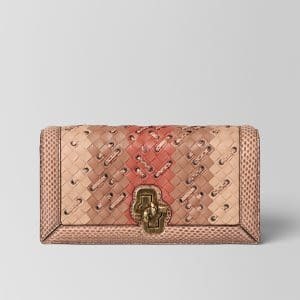 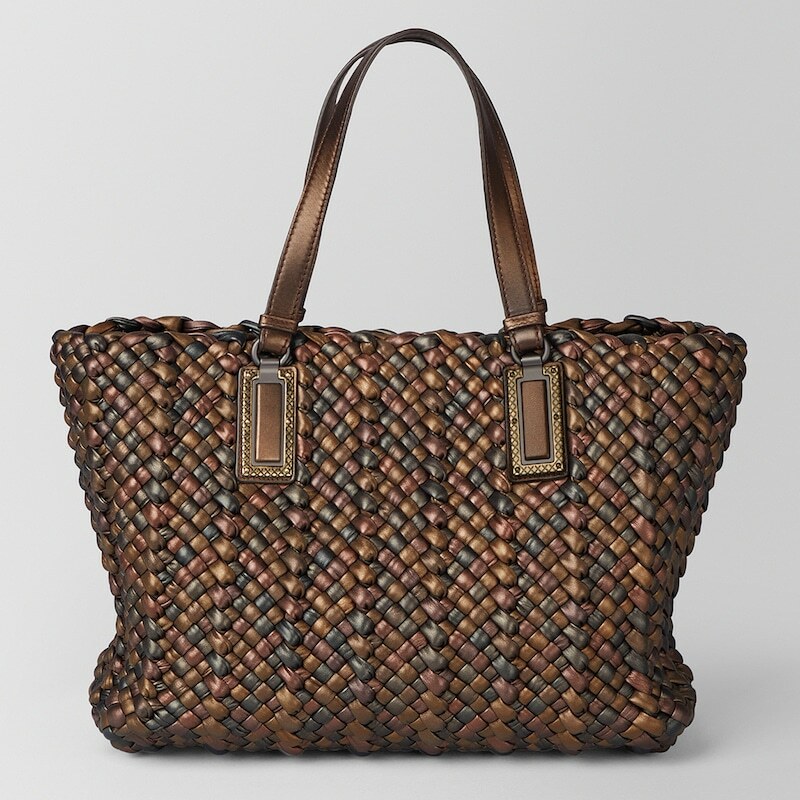 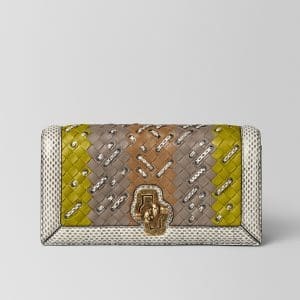 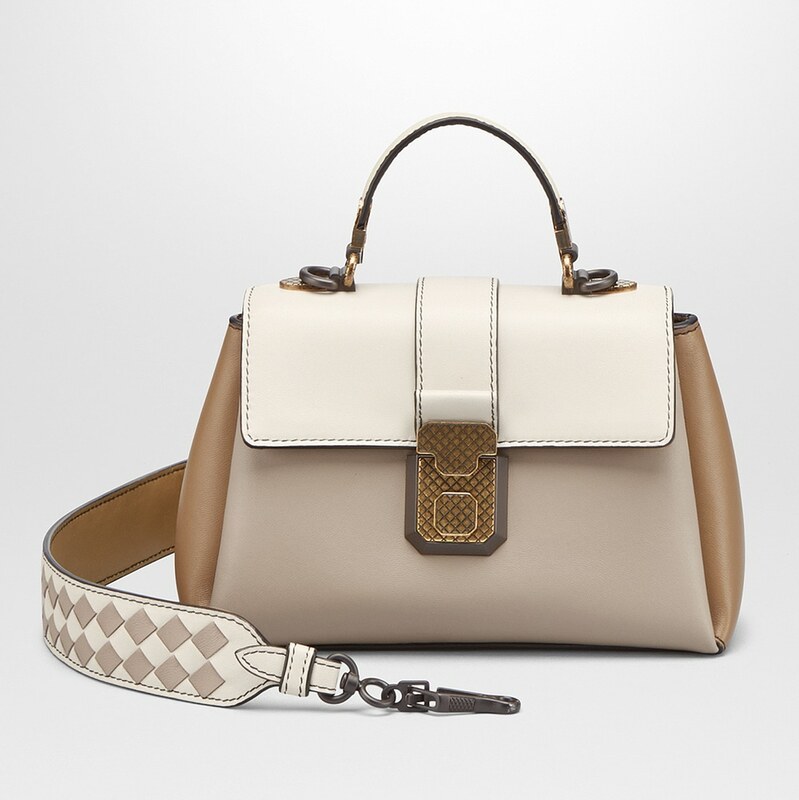 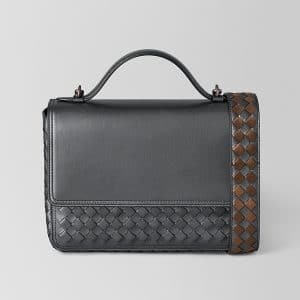 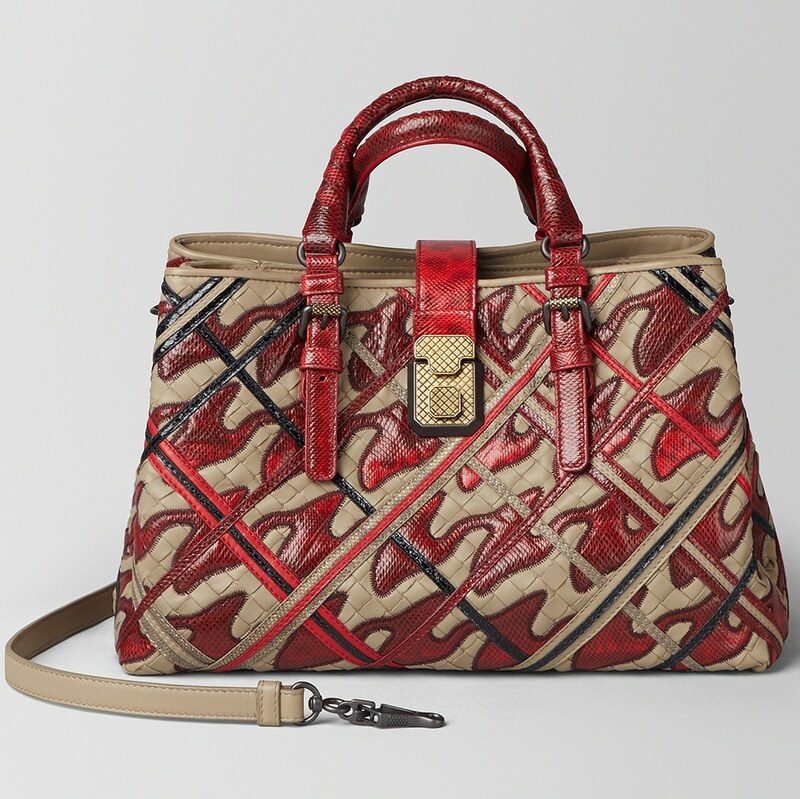 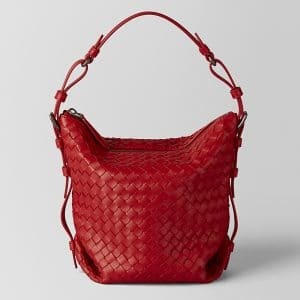 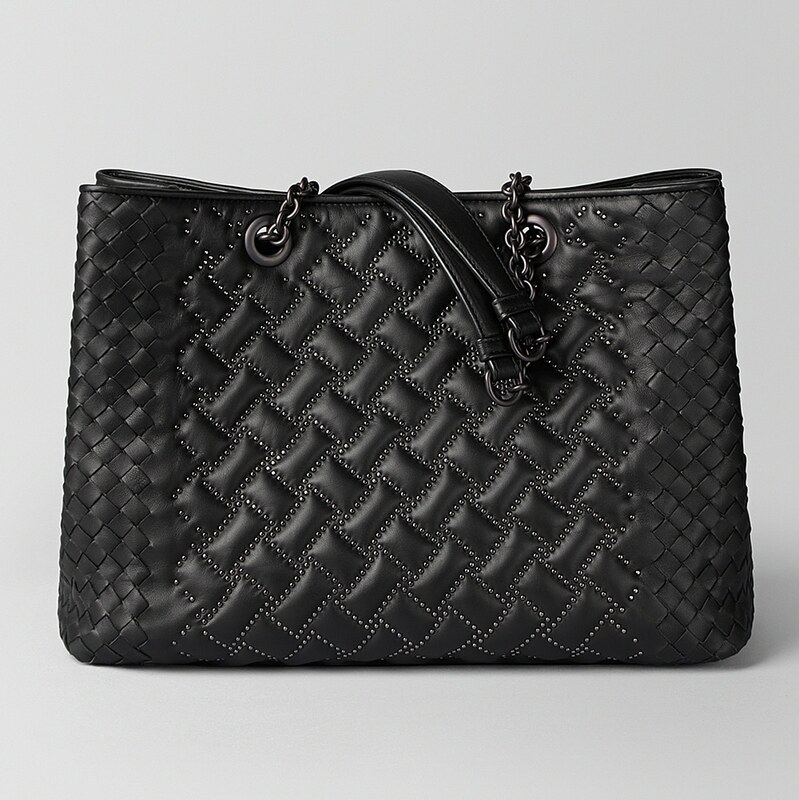 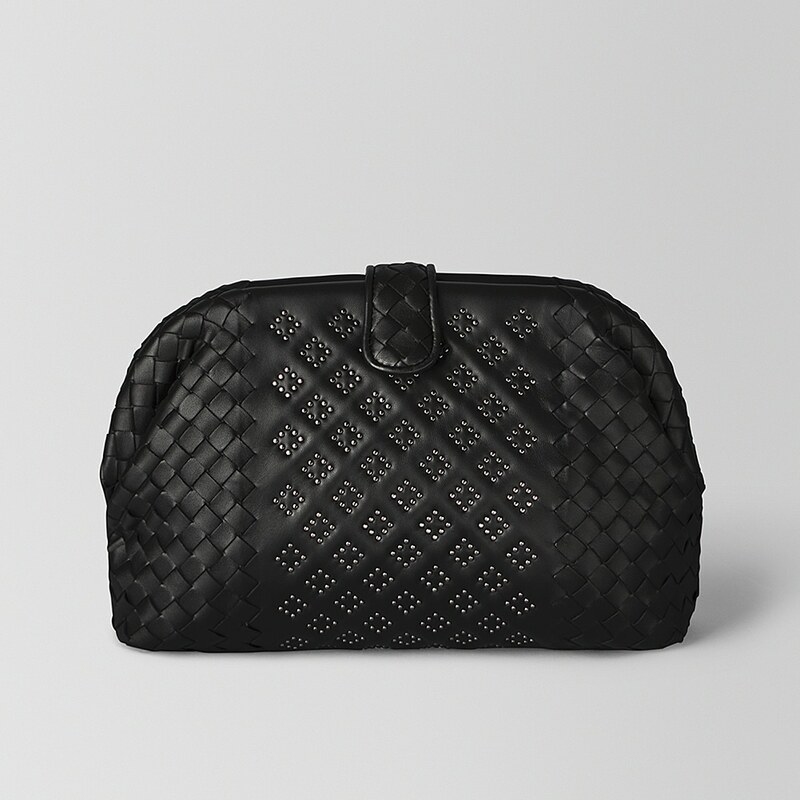 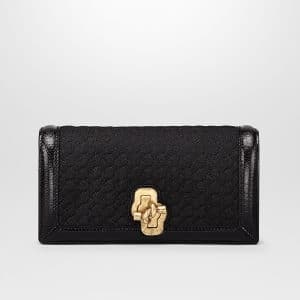 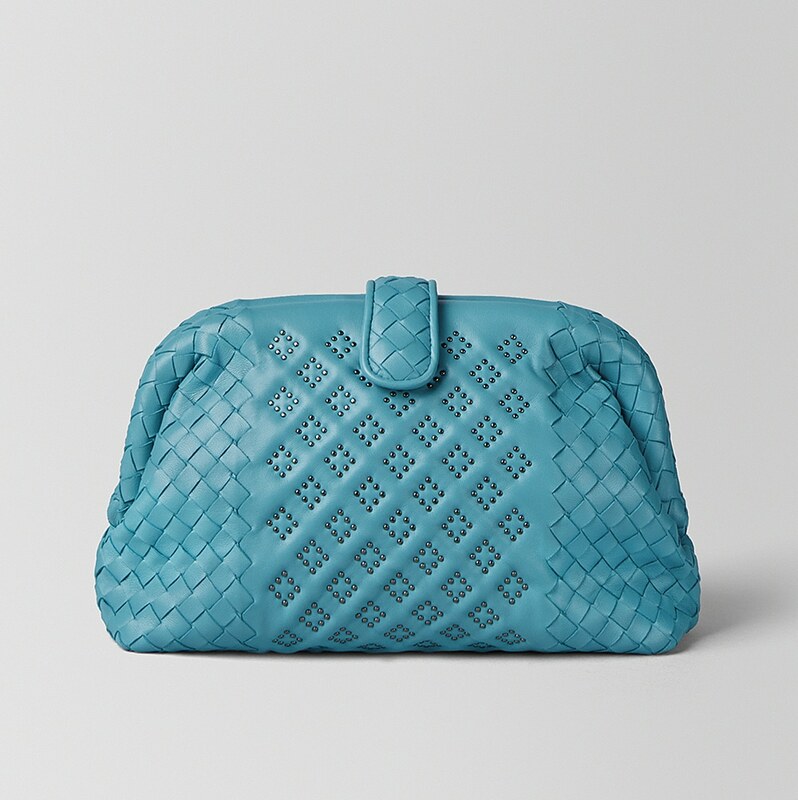 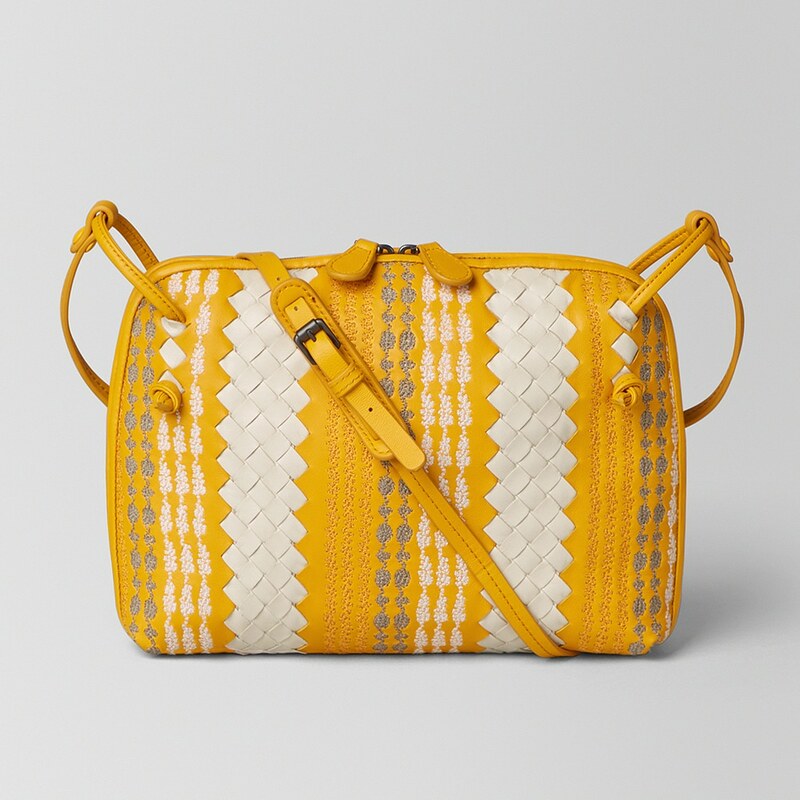 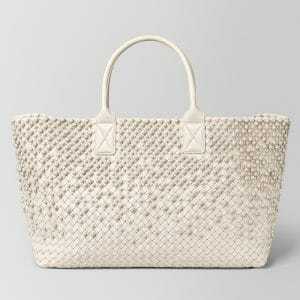 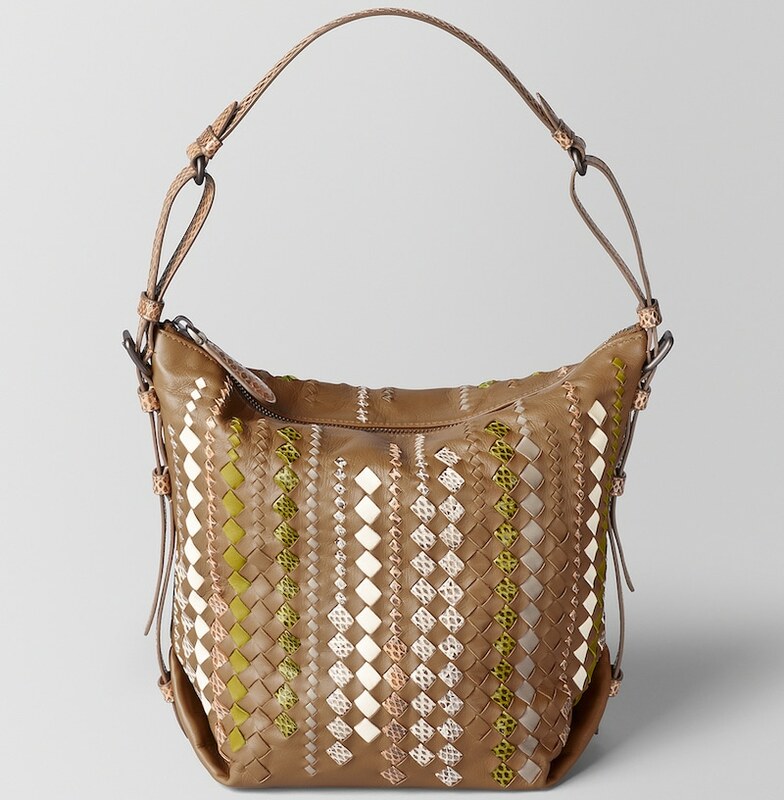 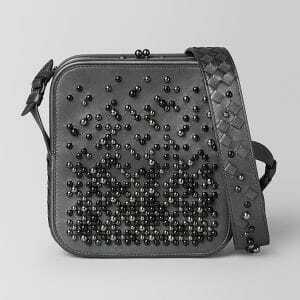 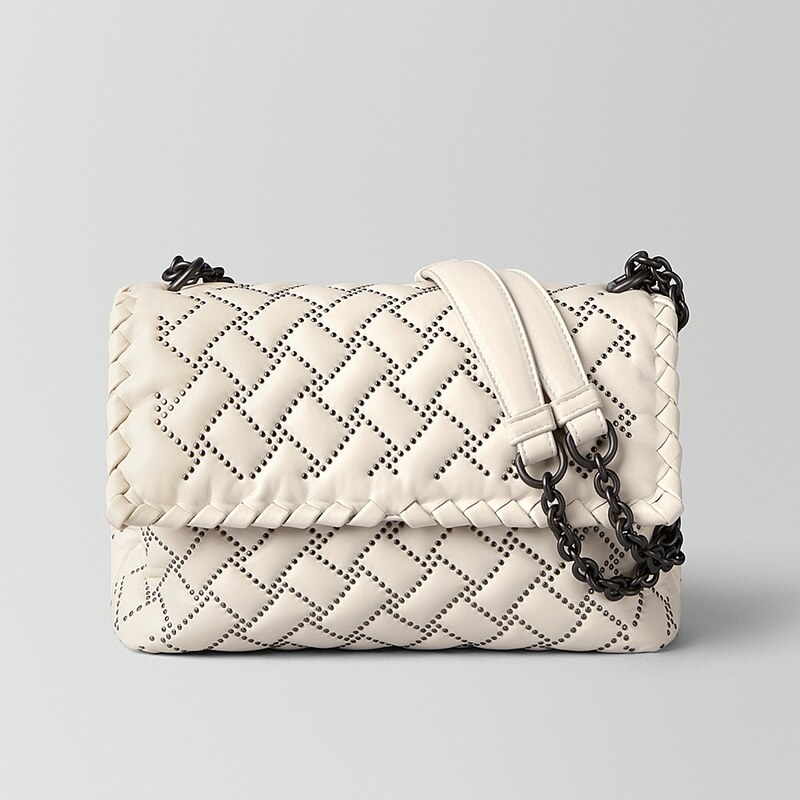 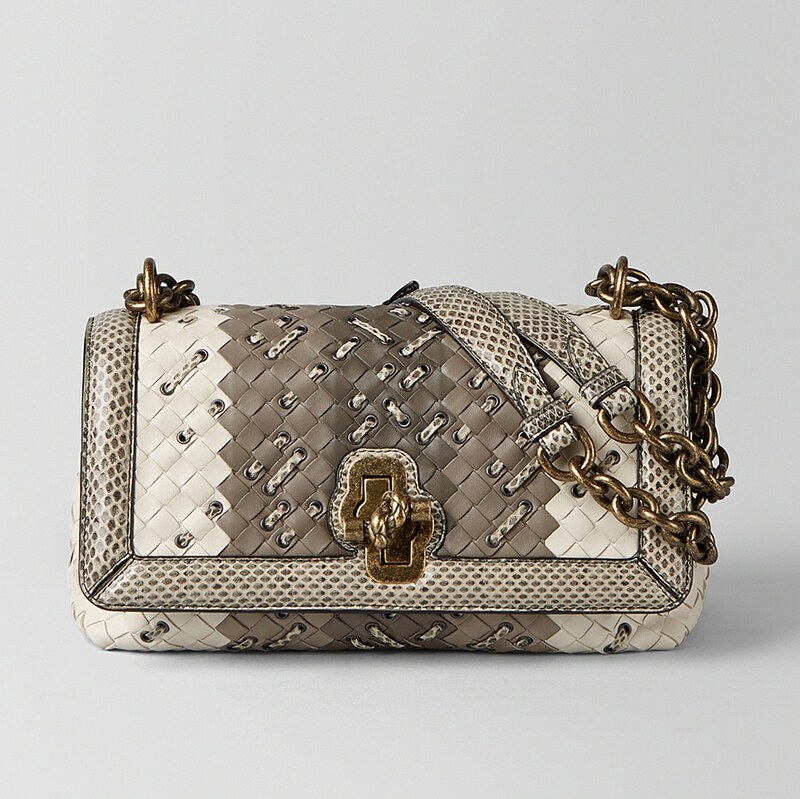 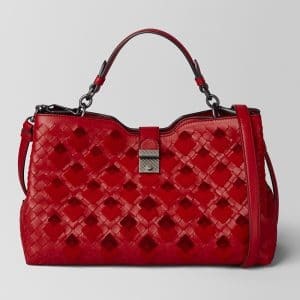 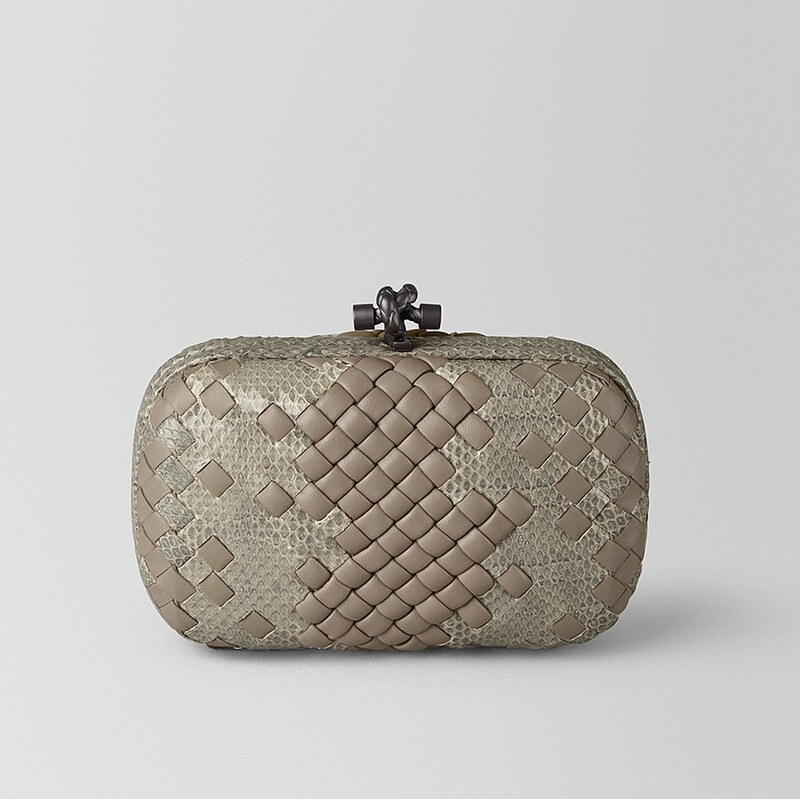 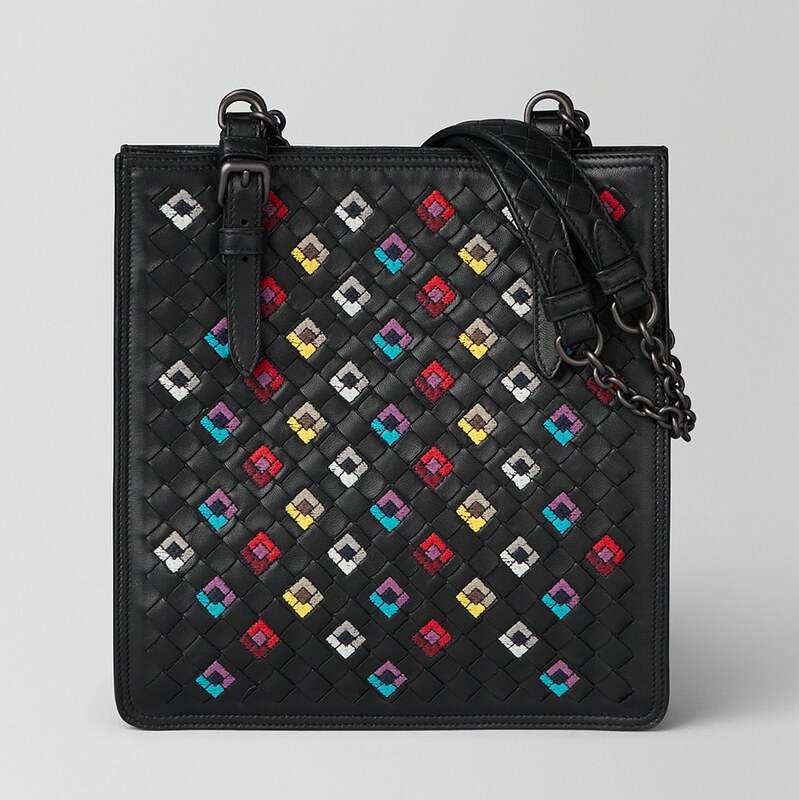 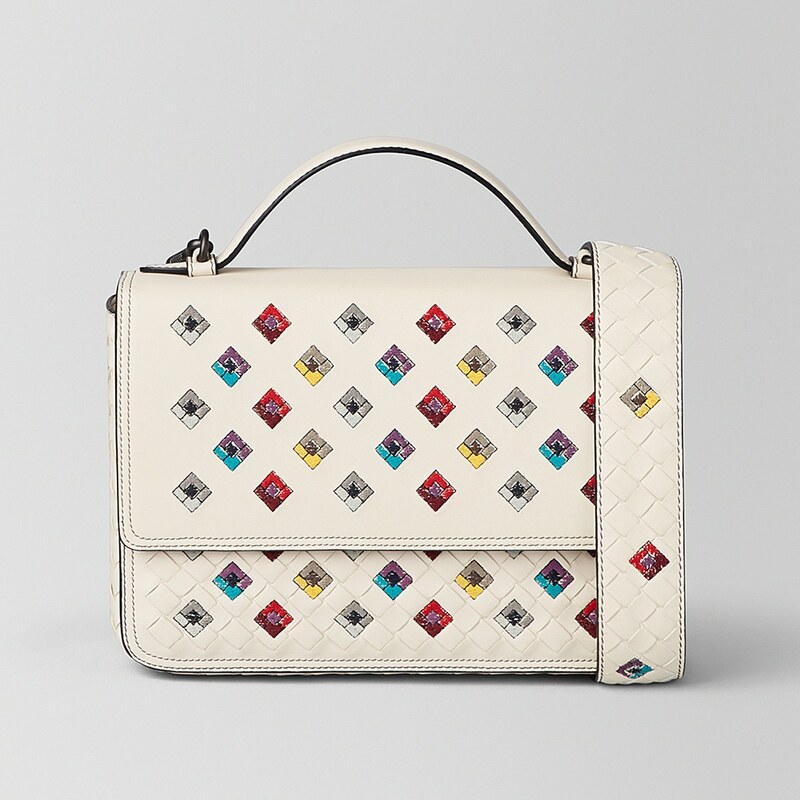 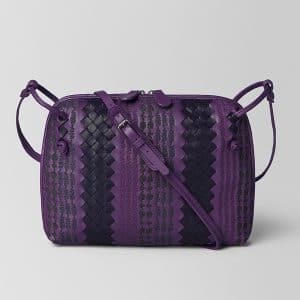 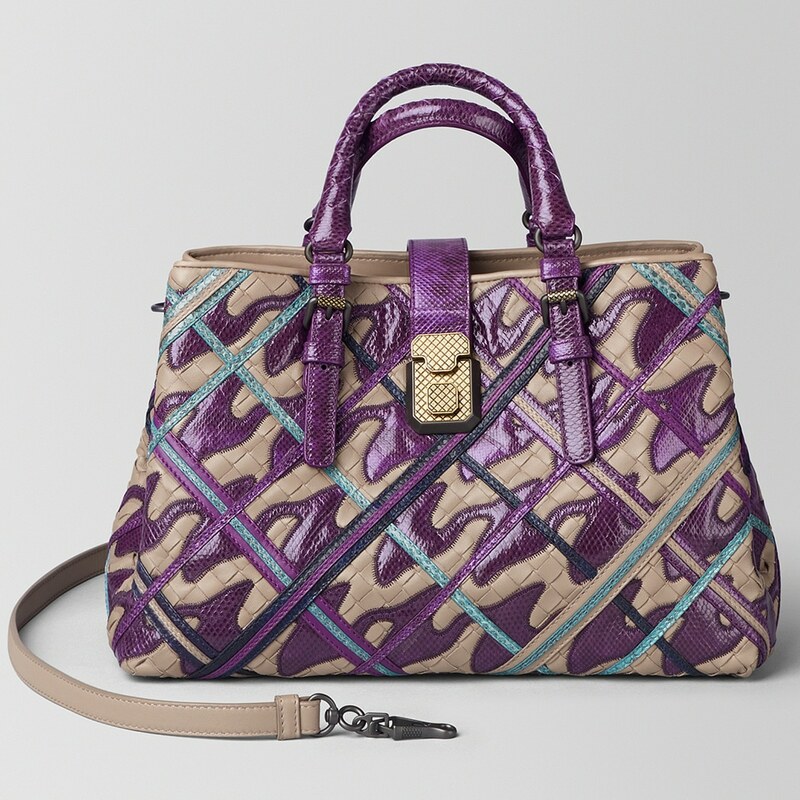 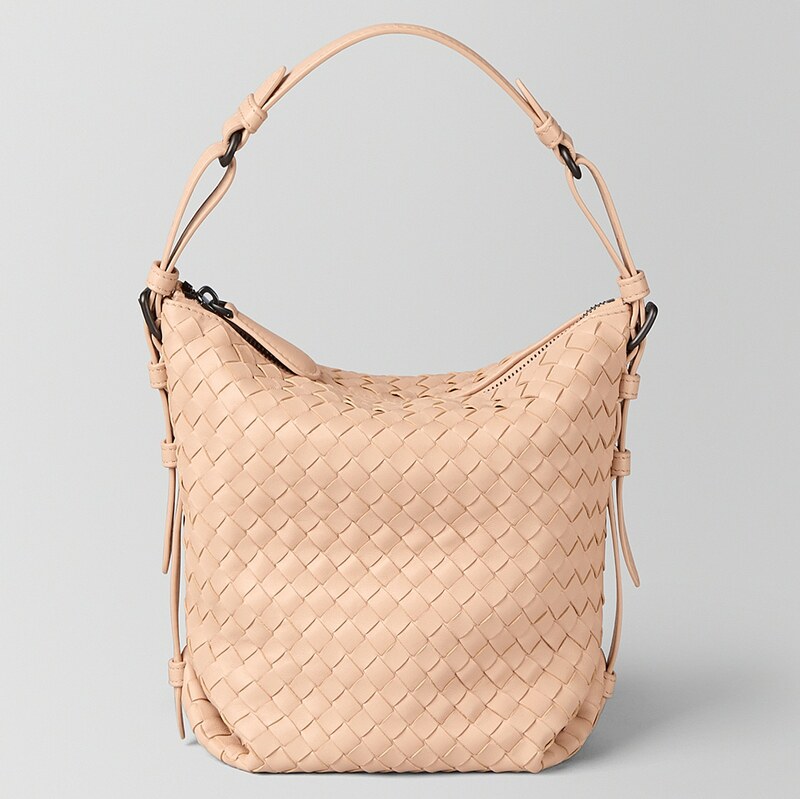 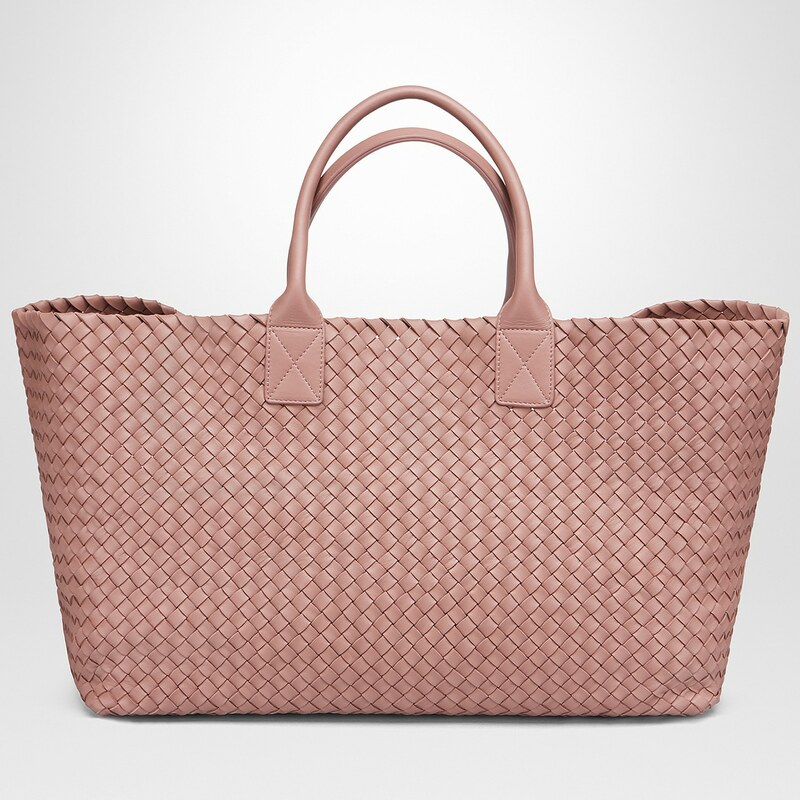 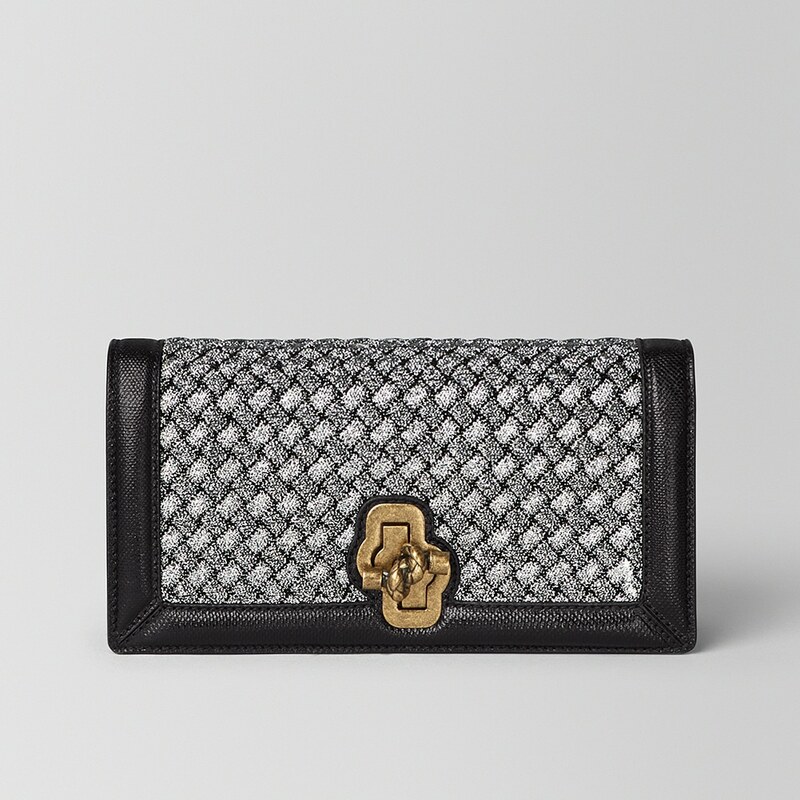 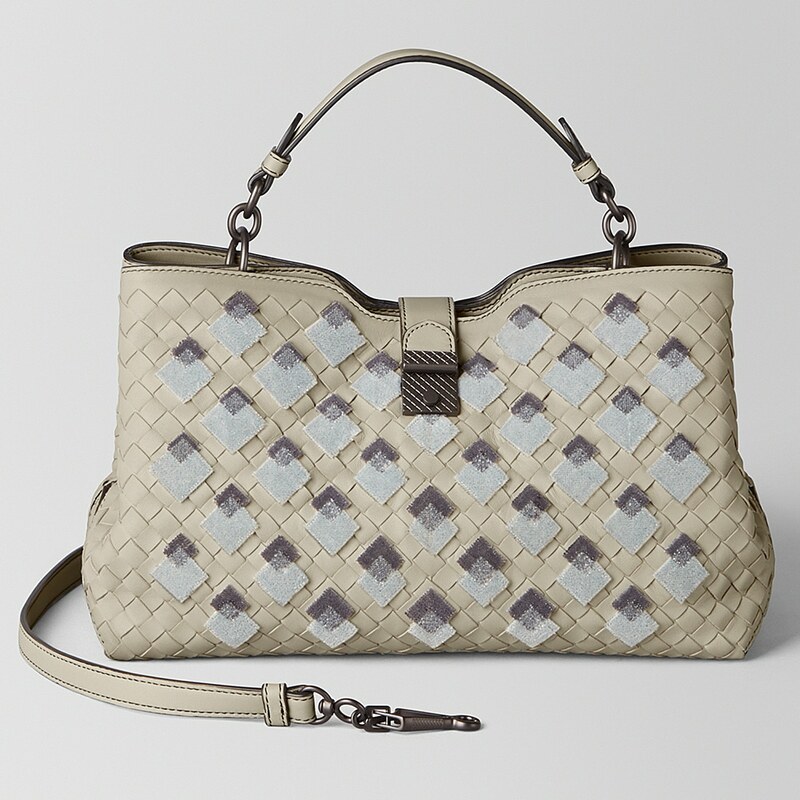 Bottega Veneta introduces the limited edition Pied de Poule Intrecciato, which features a broken herringbone pattern. 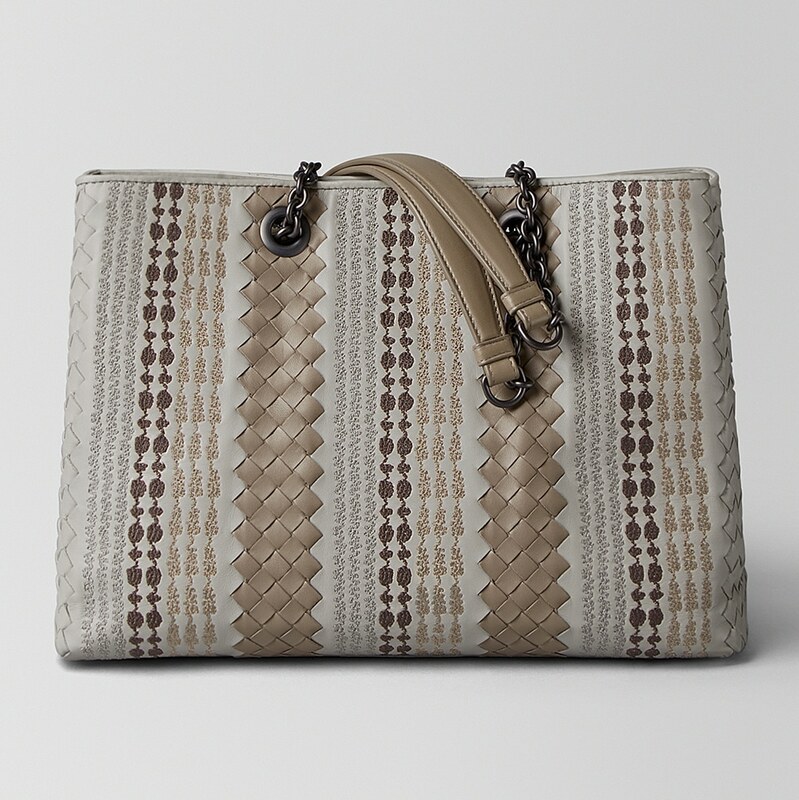 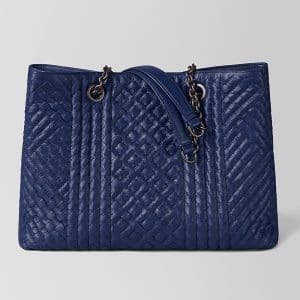 This new texture is made available in the Olimpia and Roma bags. 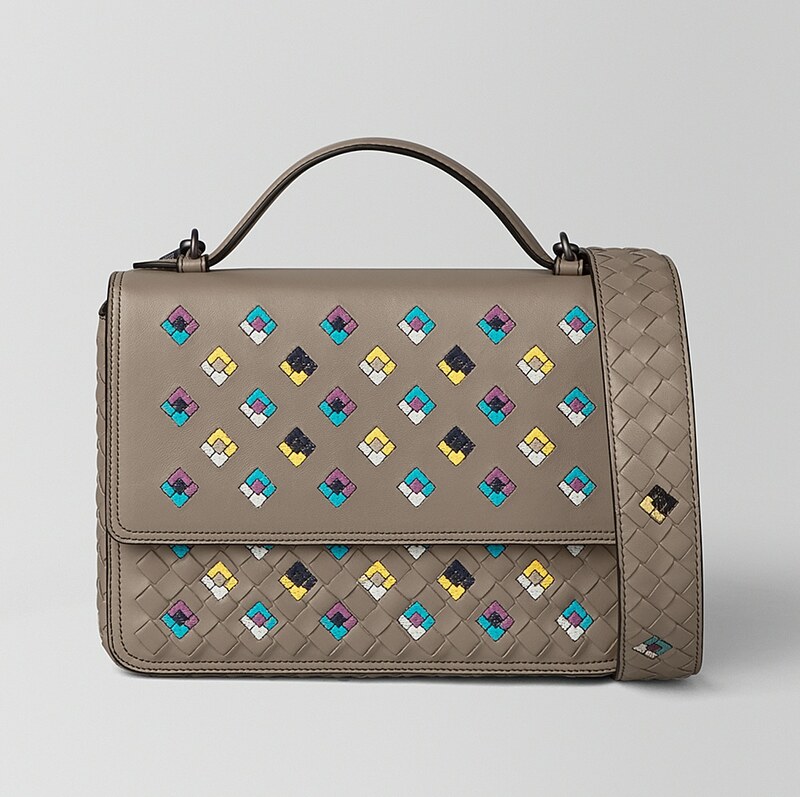 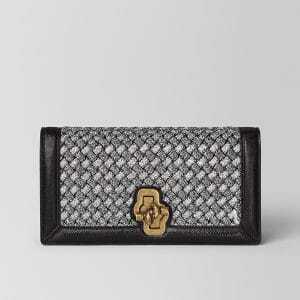 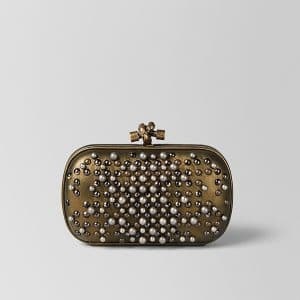 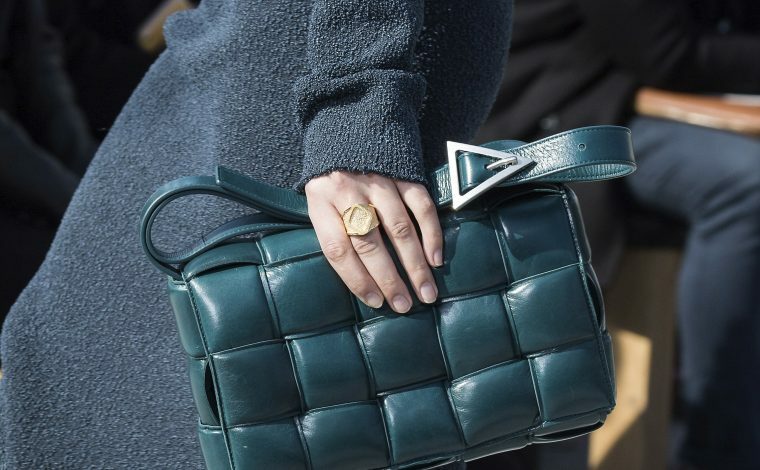 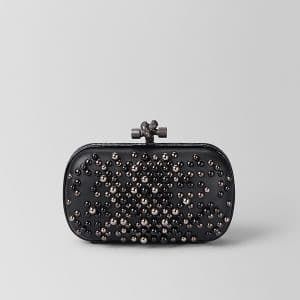 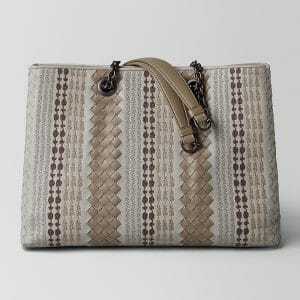 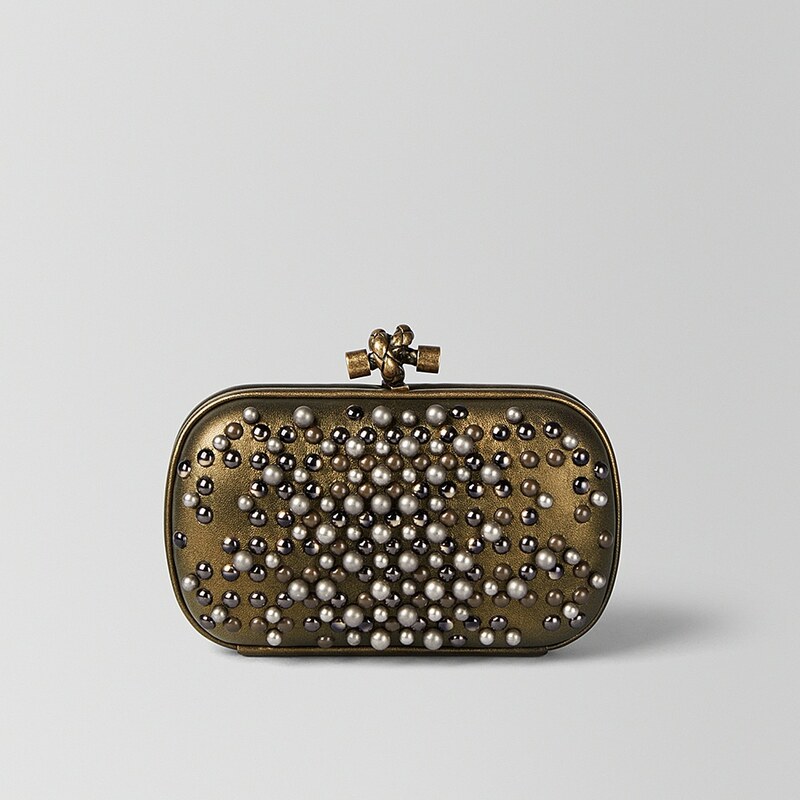 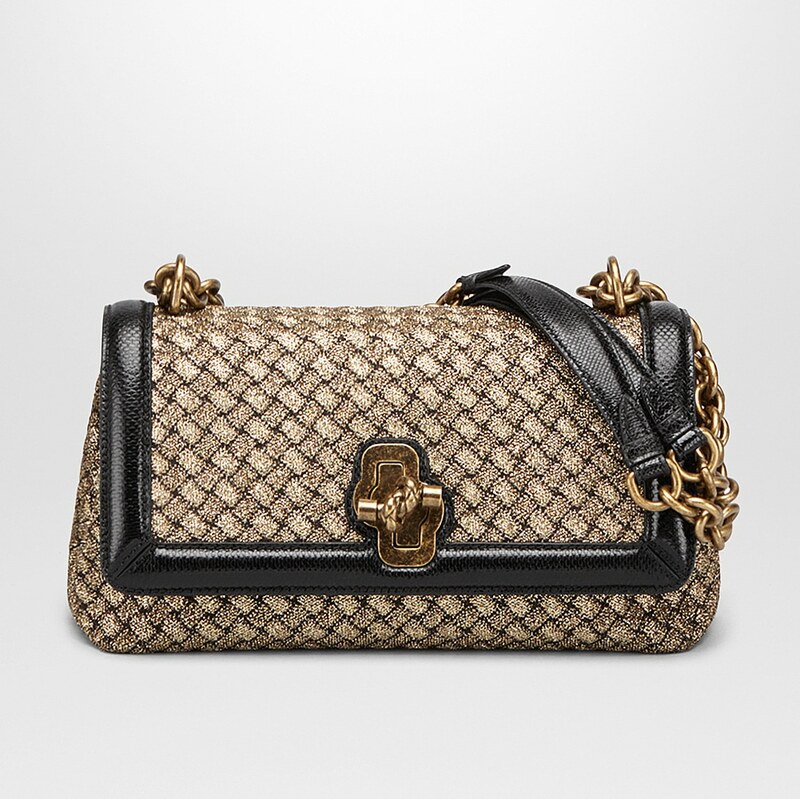 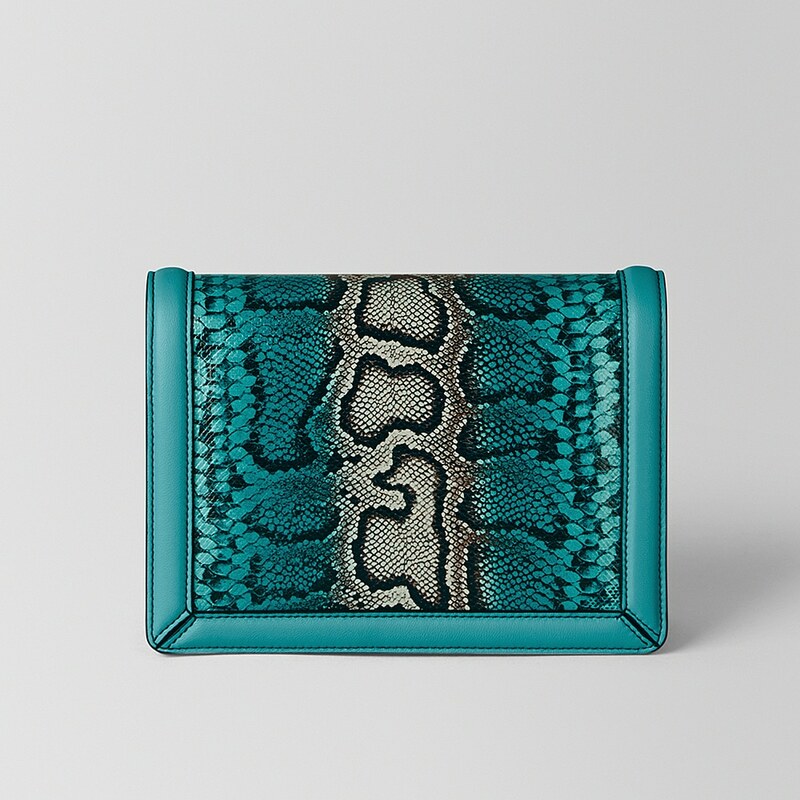 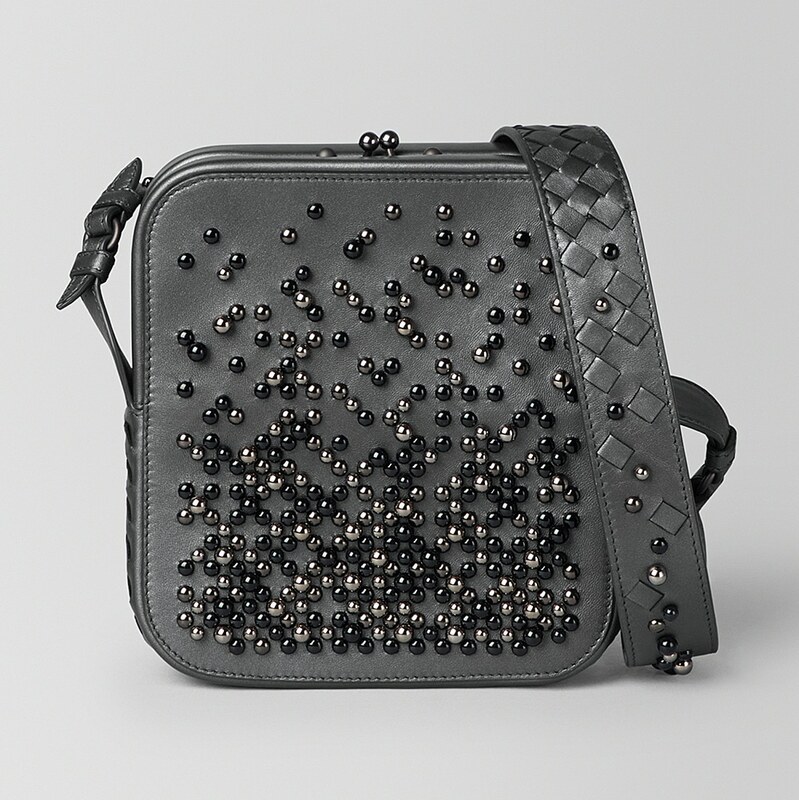 A variety of intrecciato bags comes with embellishments including velvet diamonds and embroidered tri-color tiles. 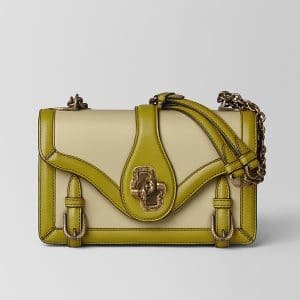 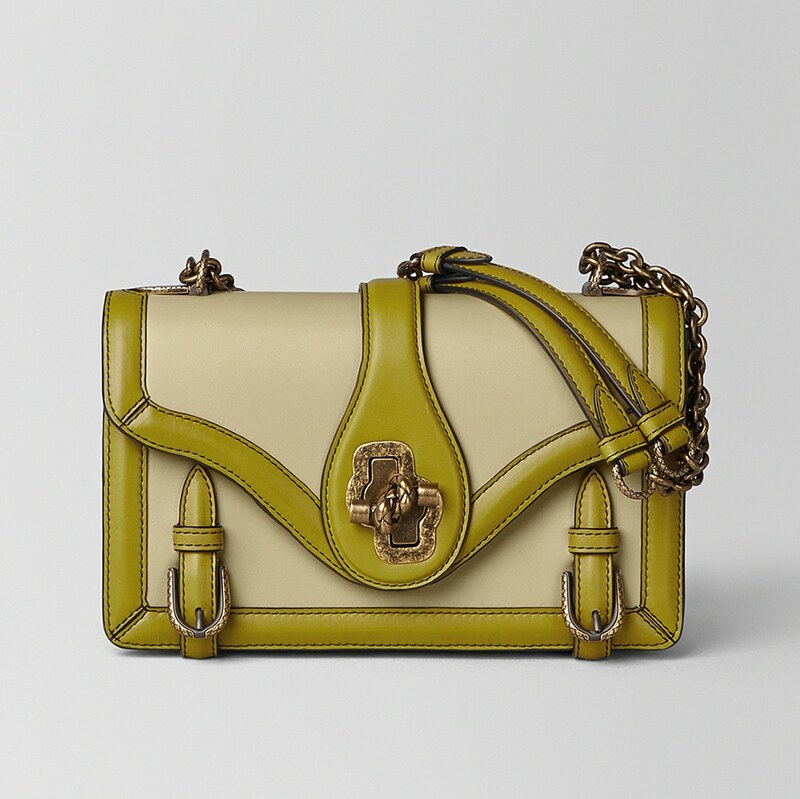 The brand’s iconic Knot and Cabat bags are embellished with resin spheres, taking its inspiration from Venetian gazing balls. 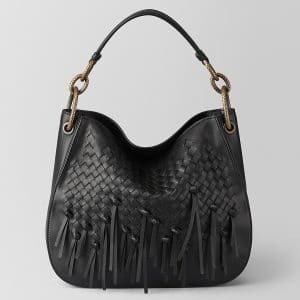 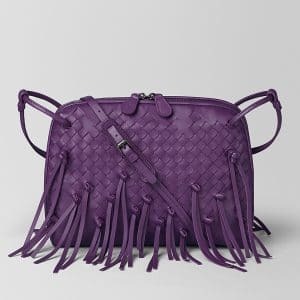 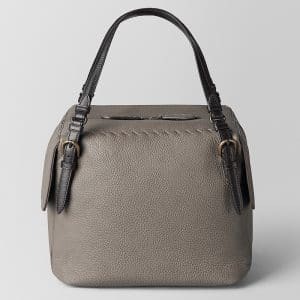 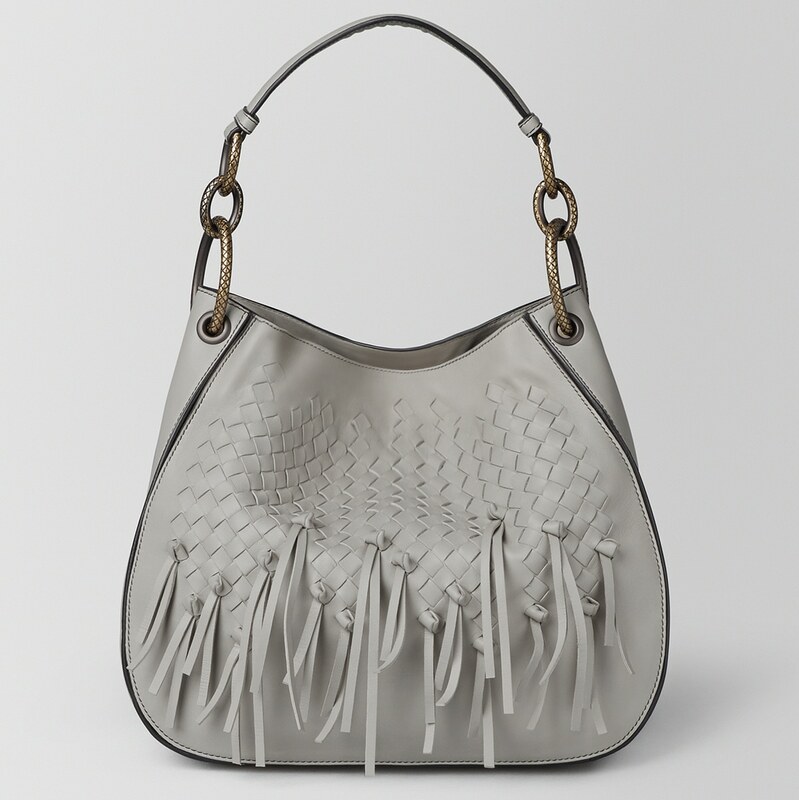 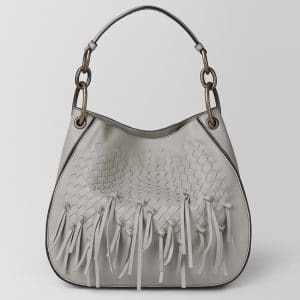 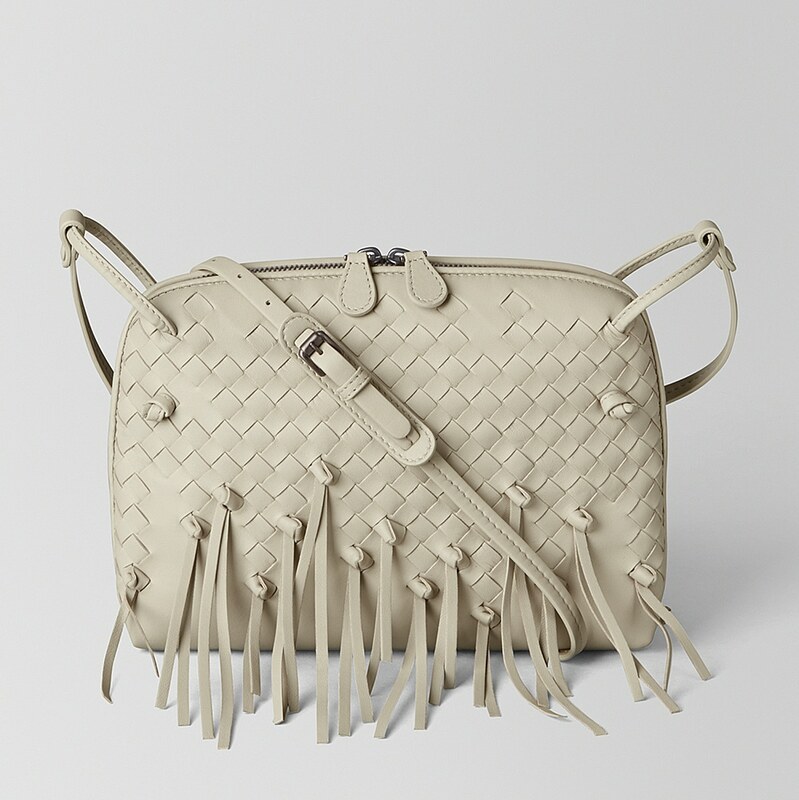 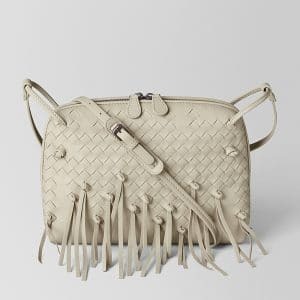 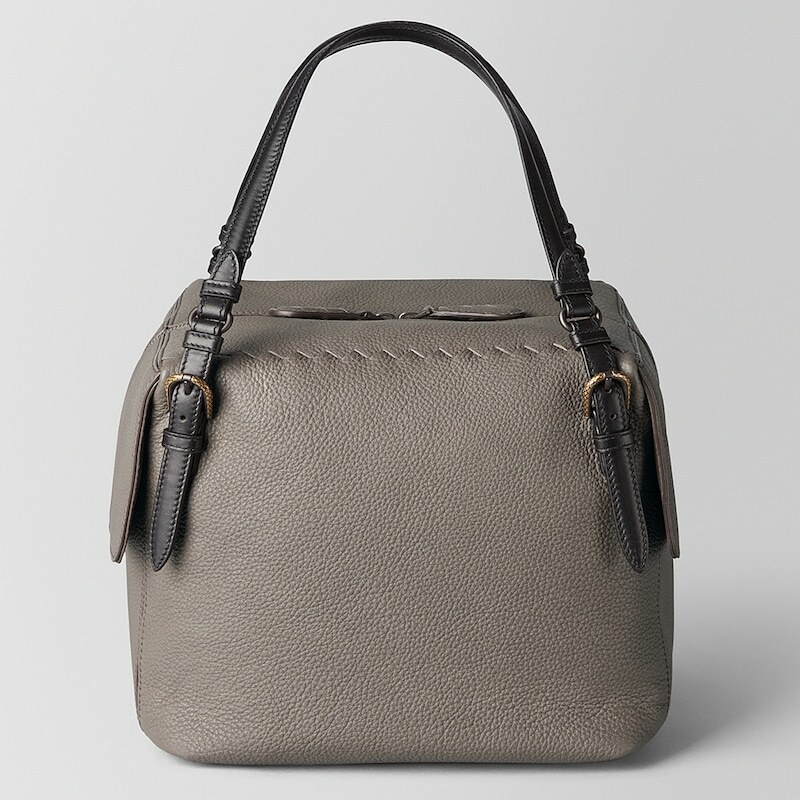 The collection also includes tote and messenger bags with fringes and a mix of exotic materials.